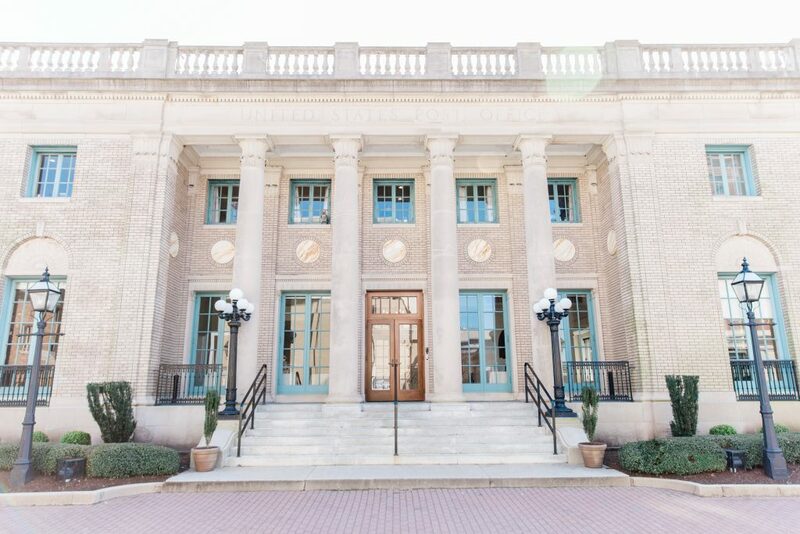 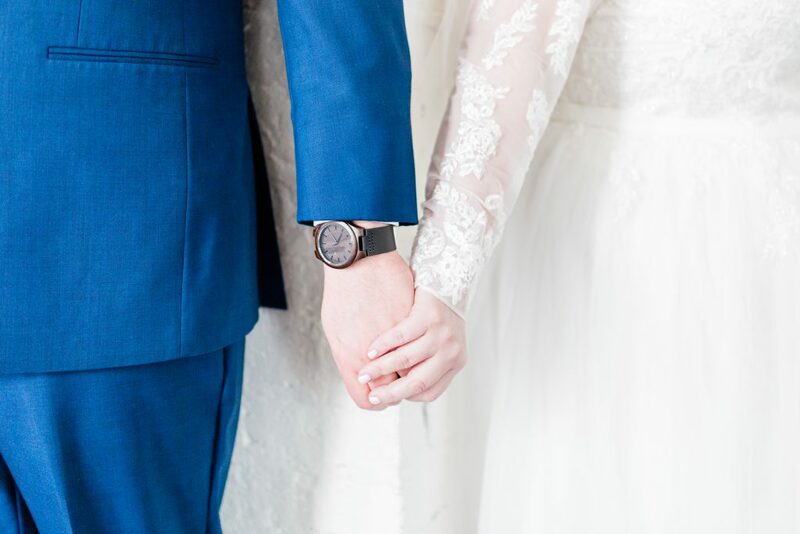 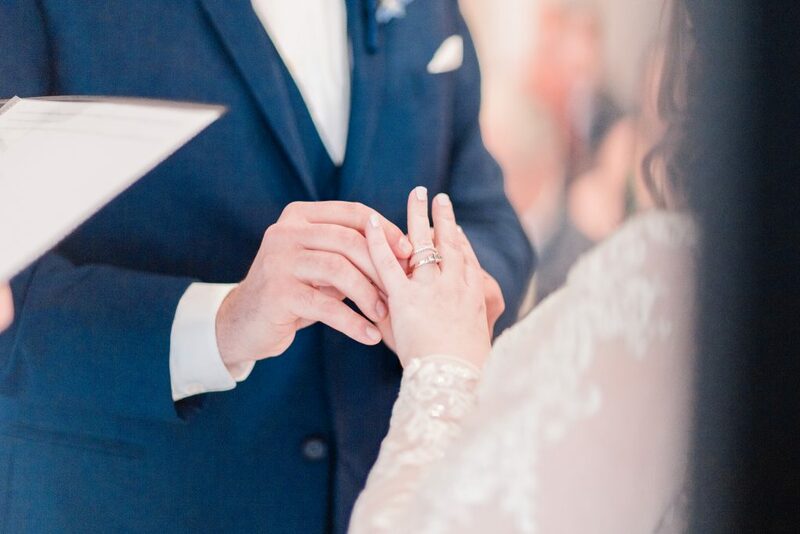 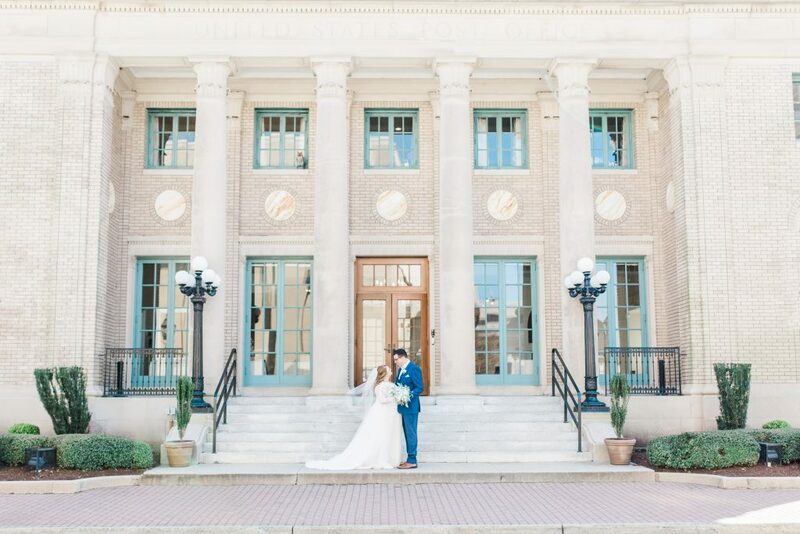 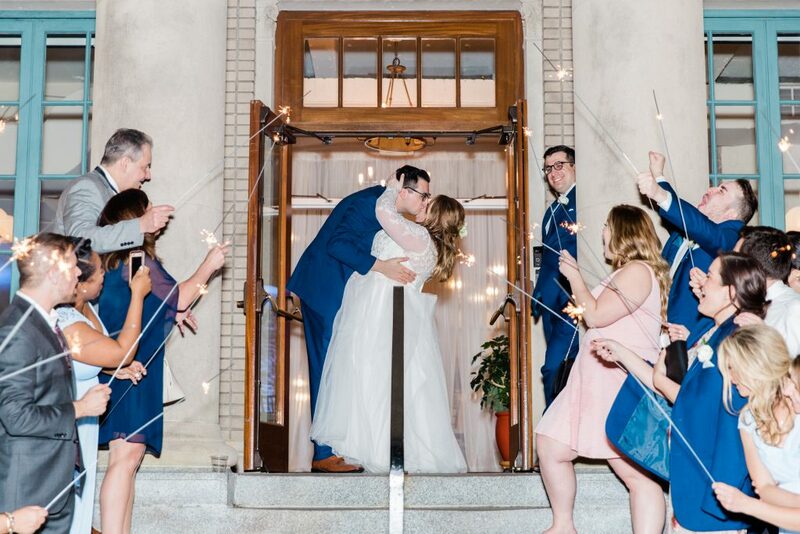 The Historic Post Office was the perfect backdrop for Alli and Alex to promise forever to each other. 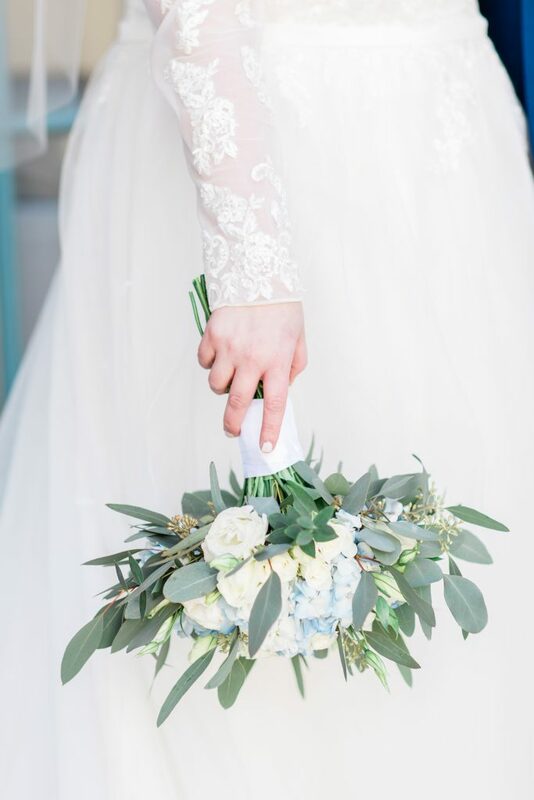 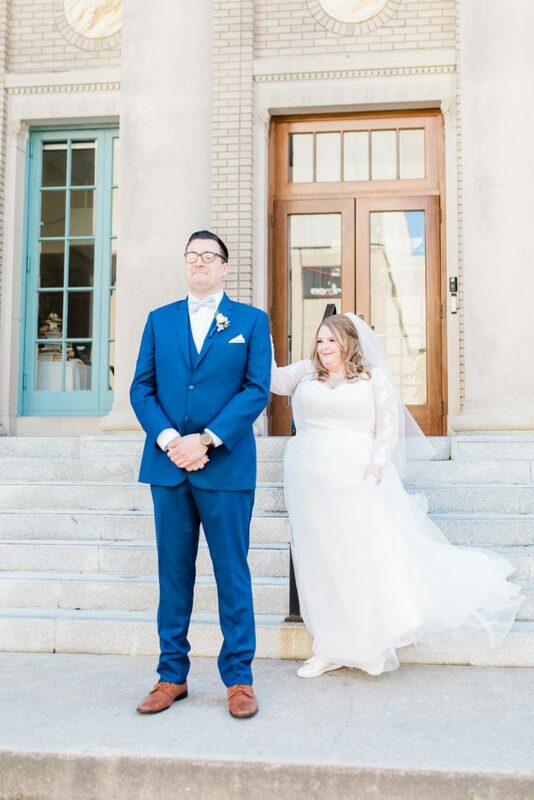 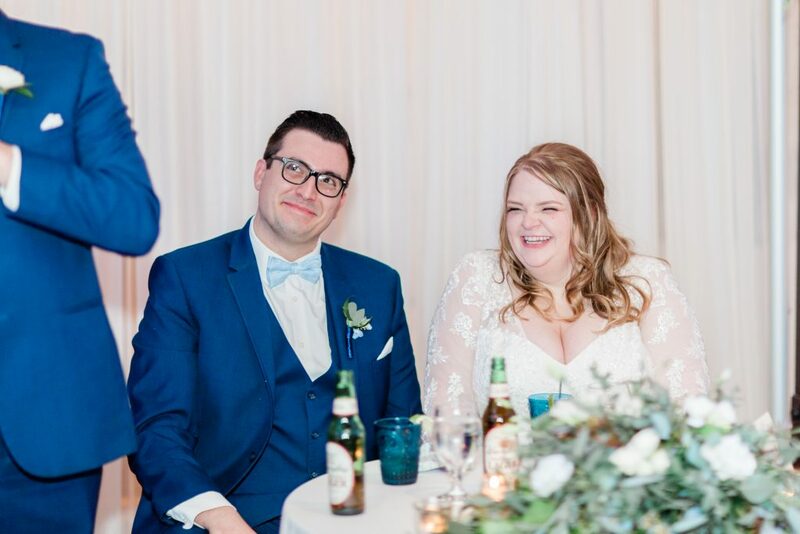 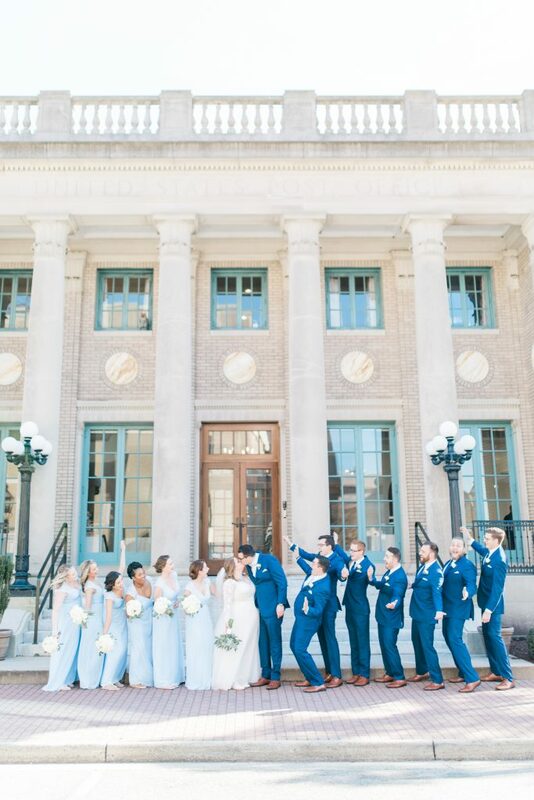 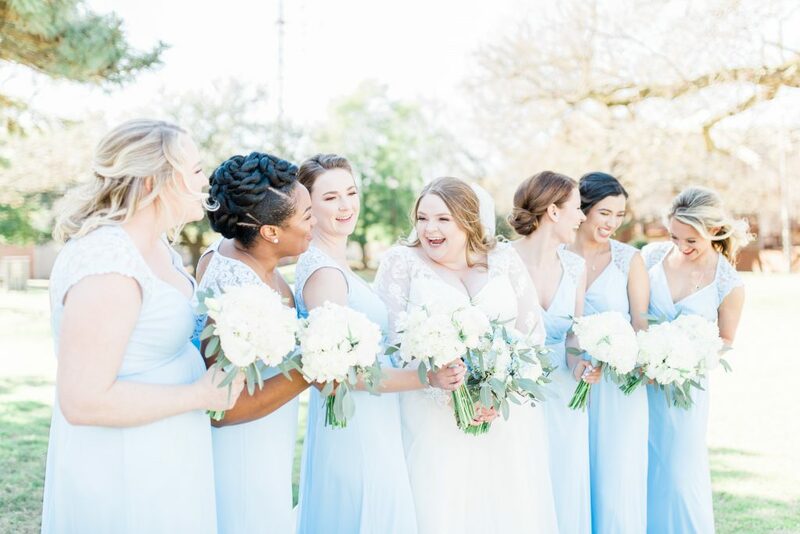 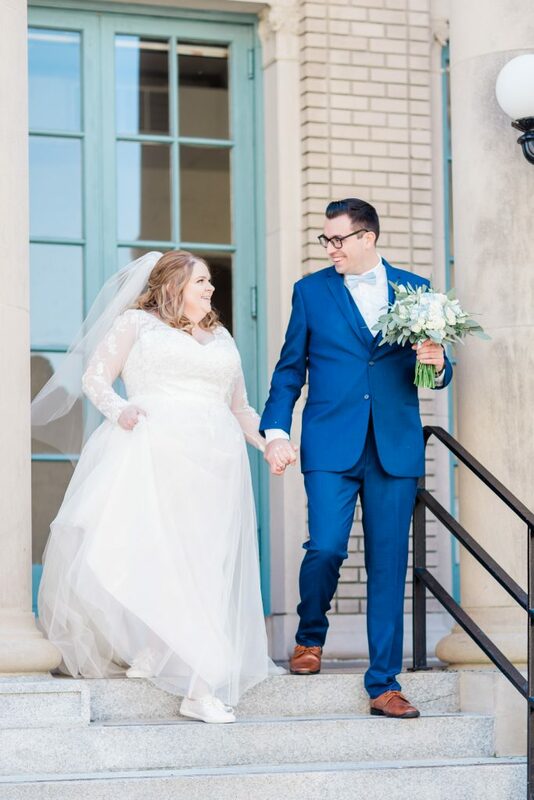 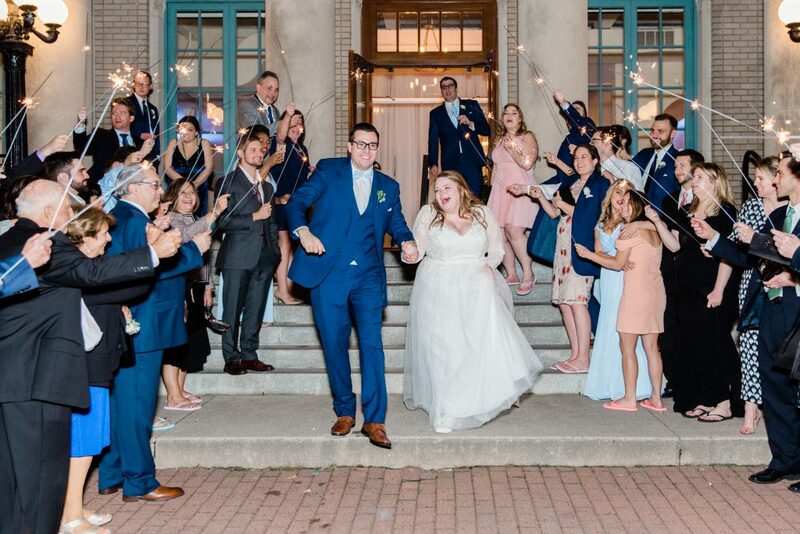 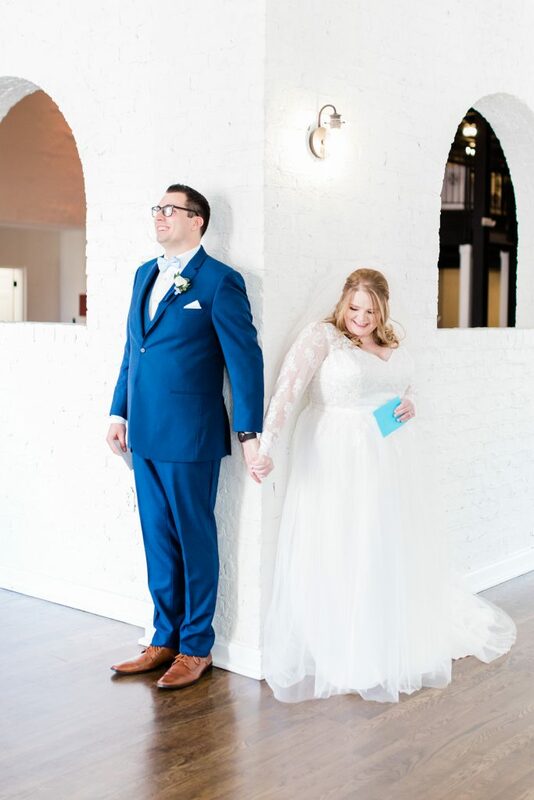 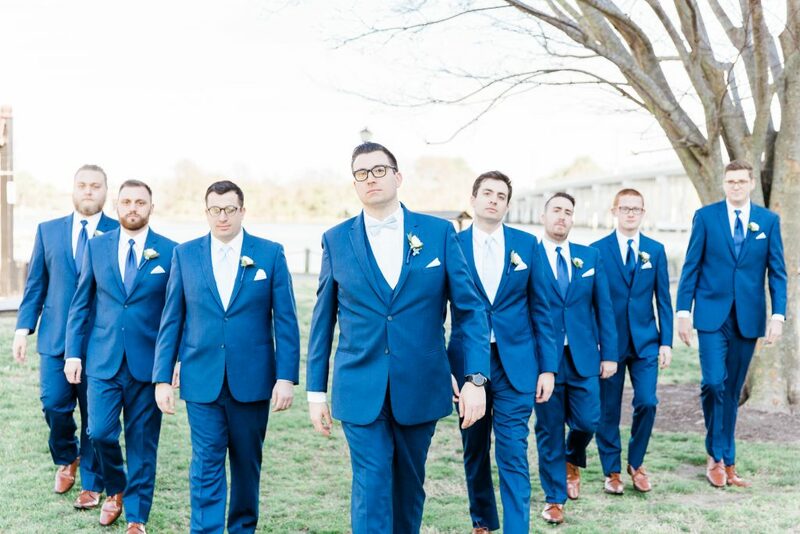 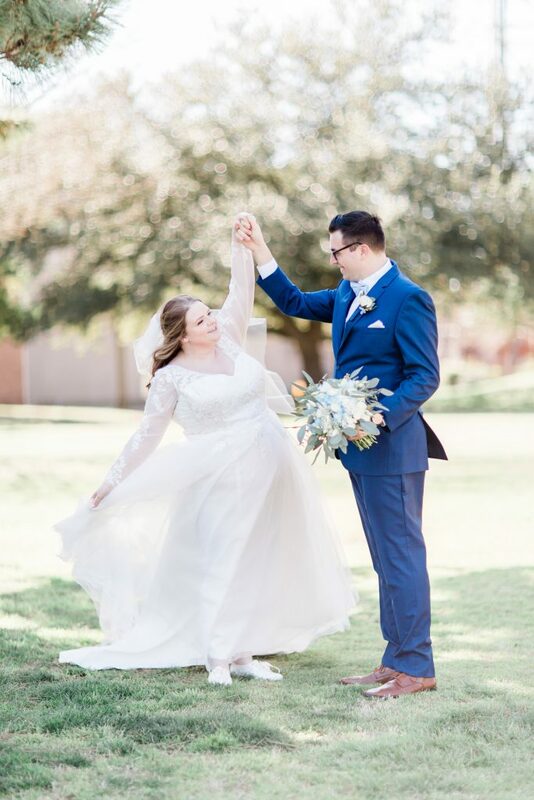 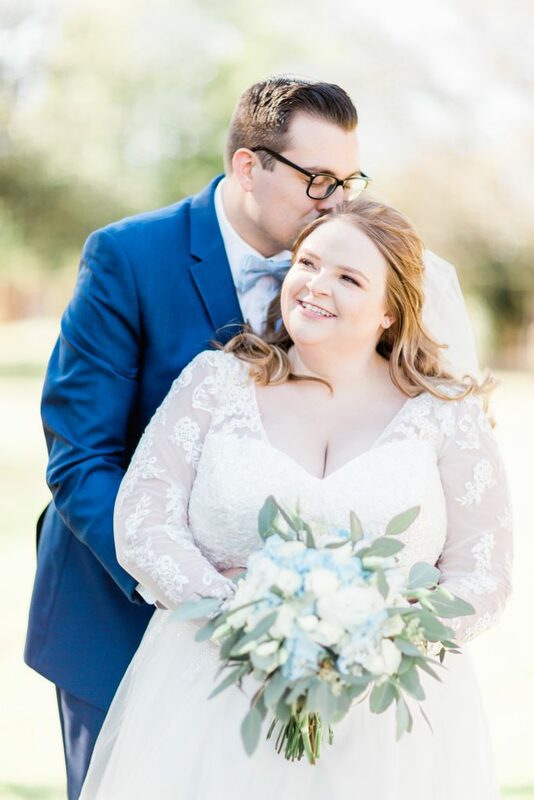 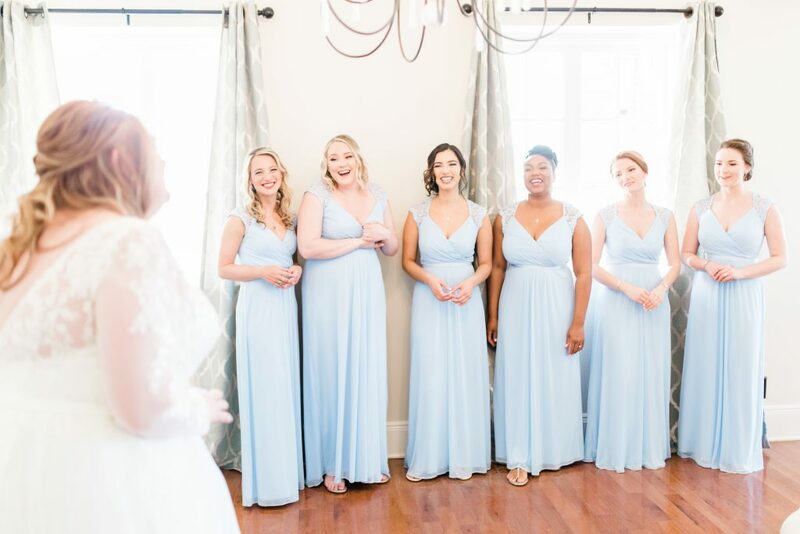 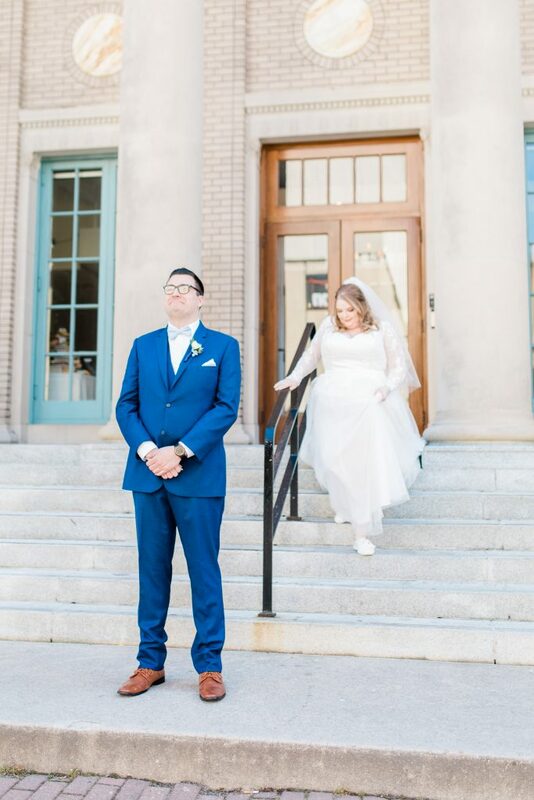 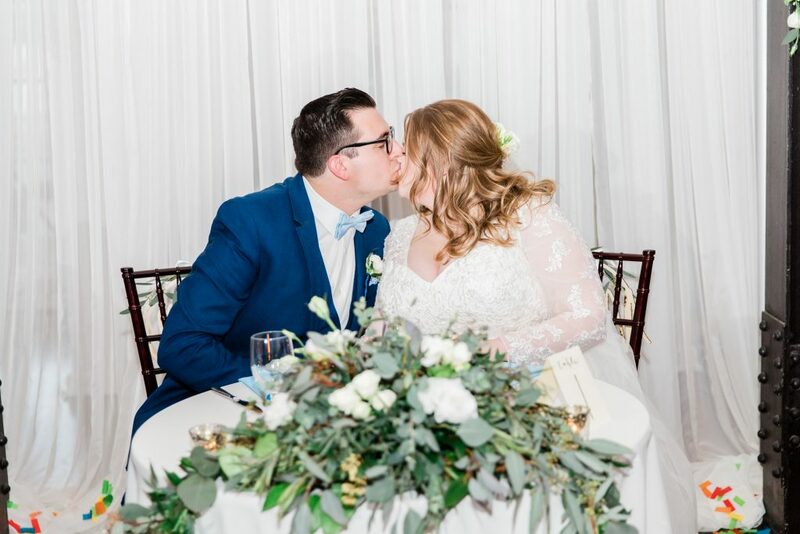 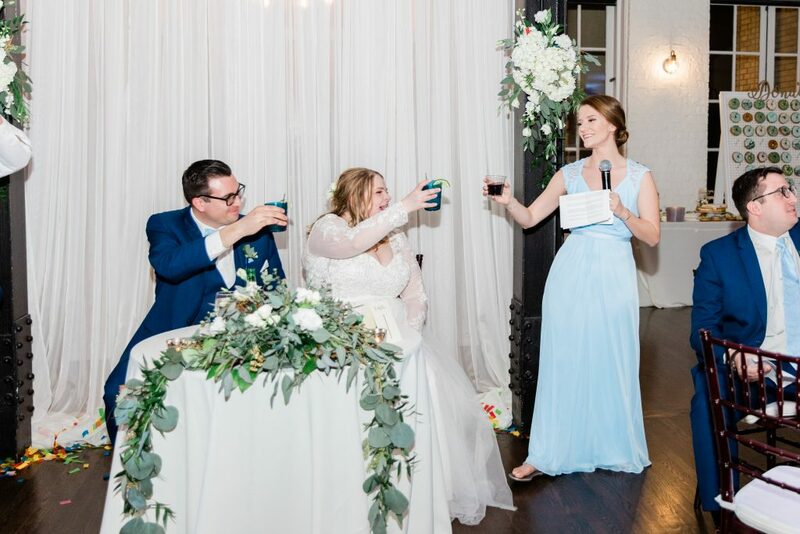 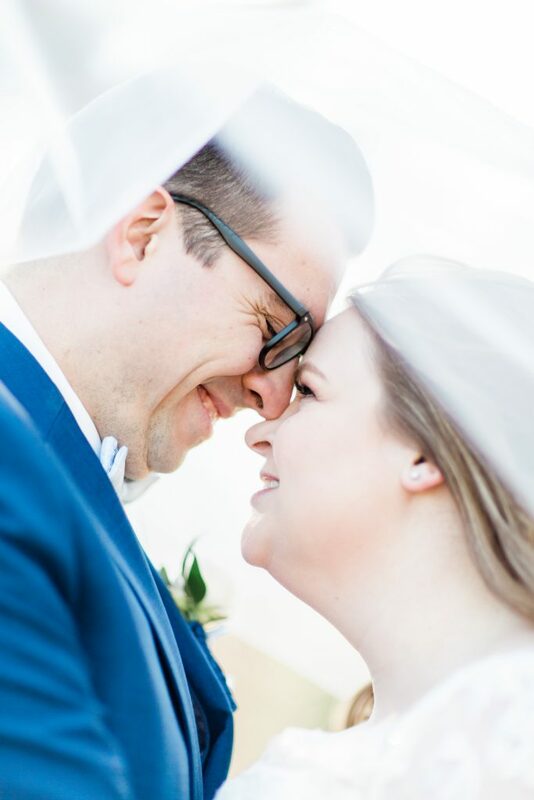 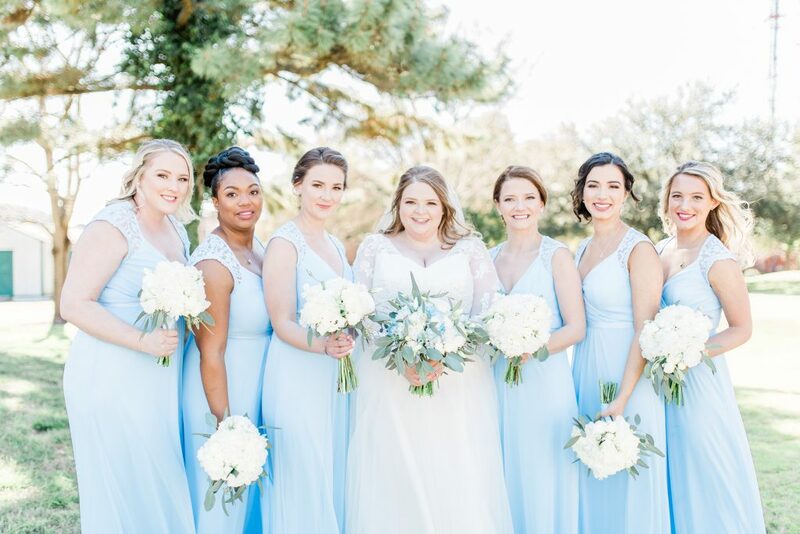 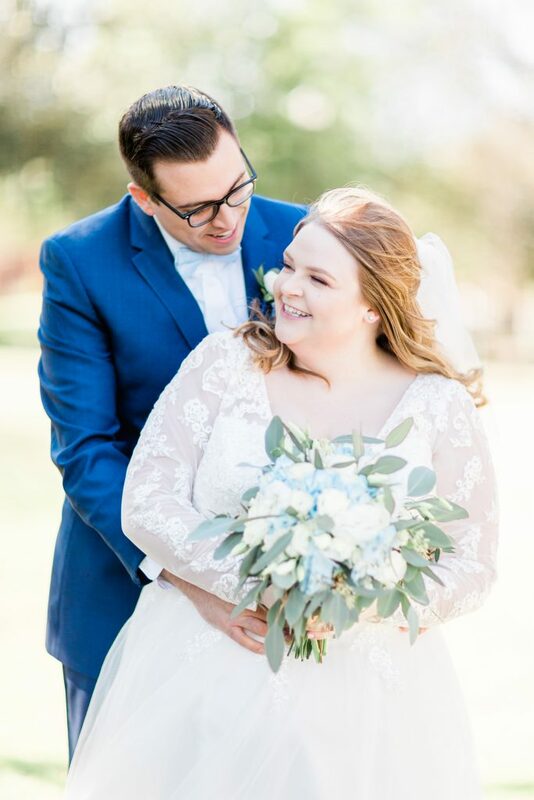 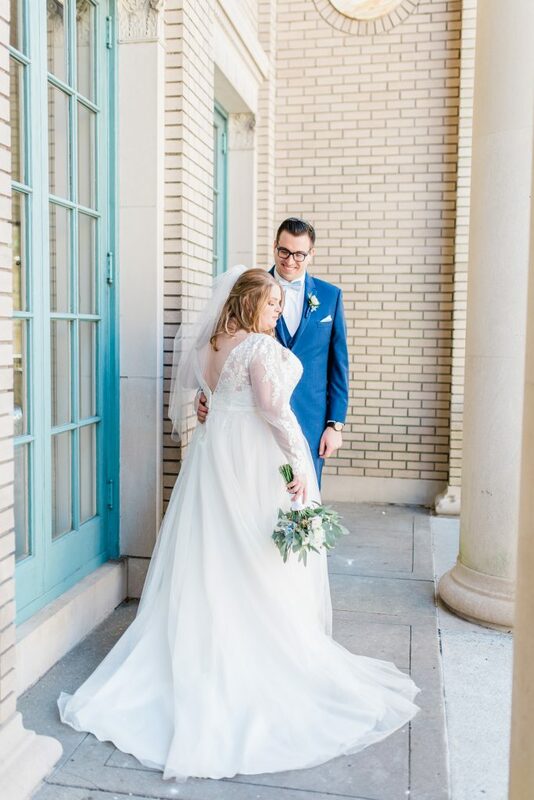 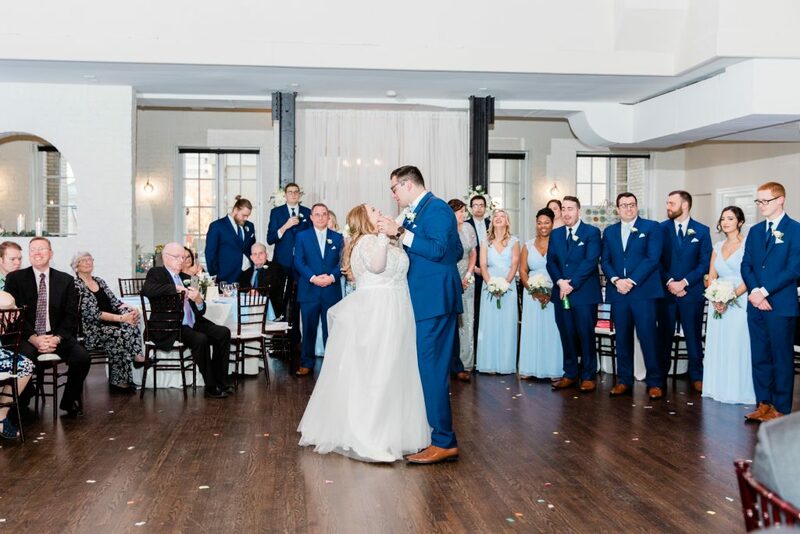 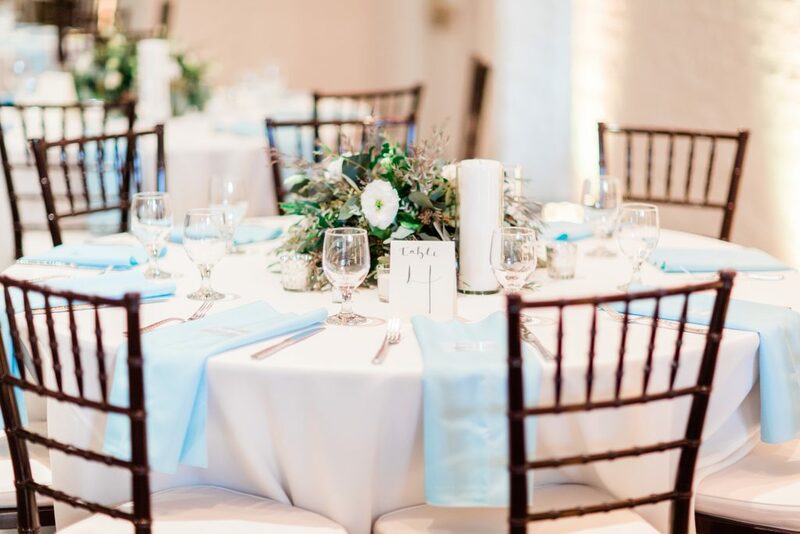 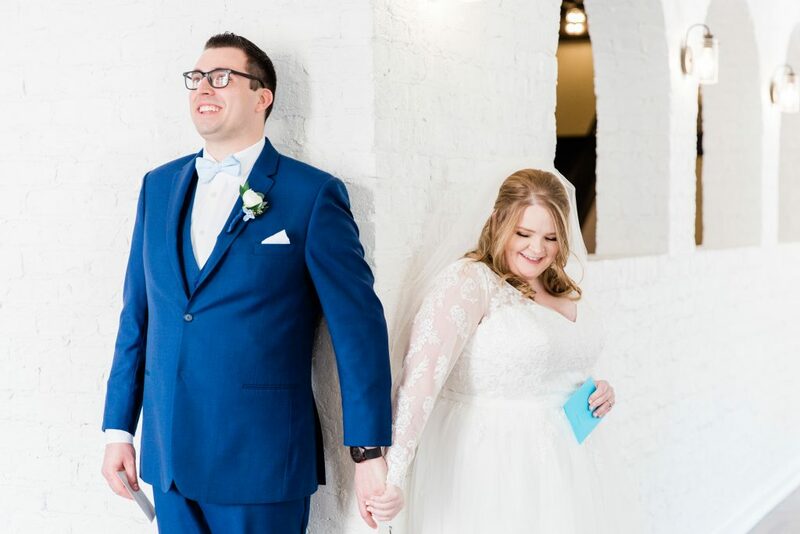 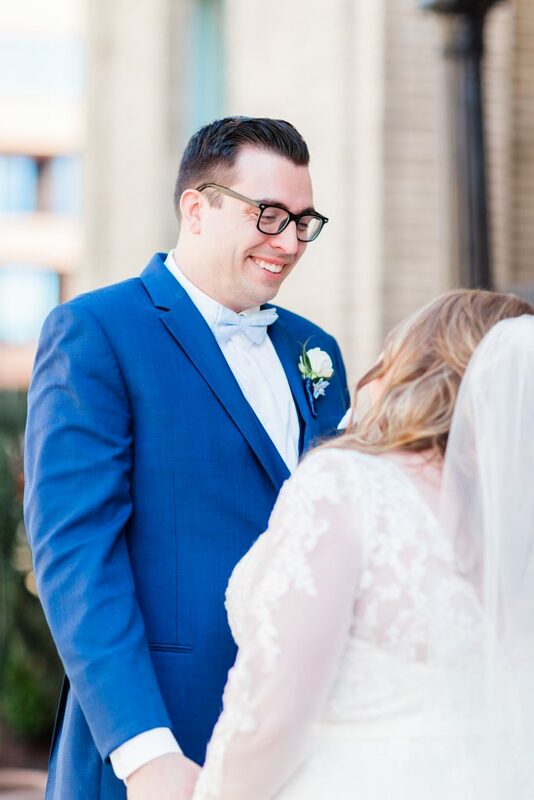 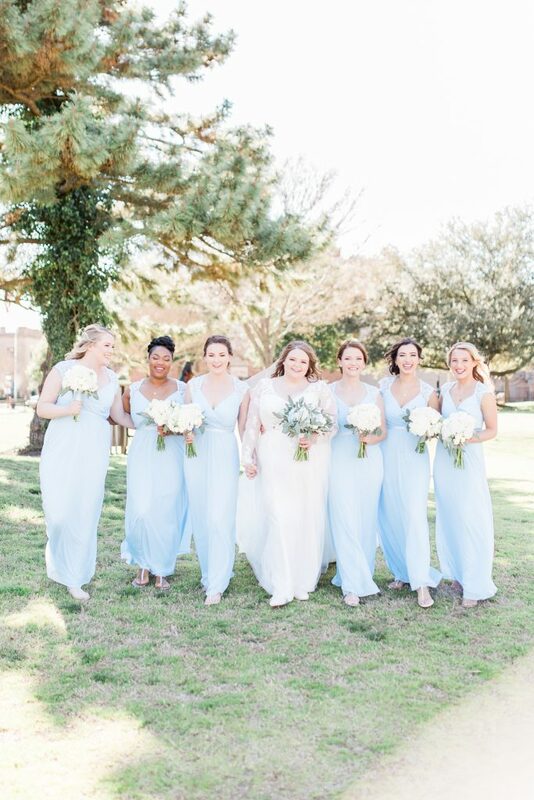 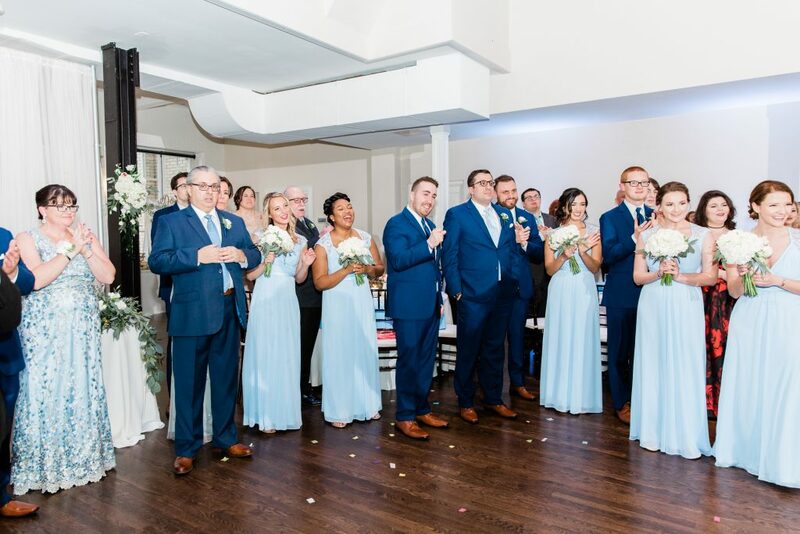 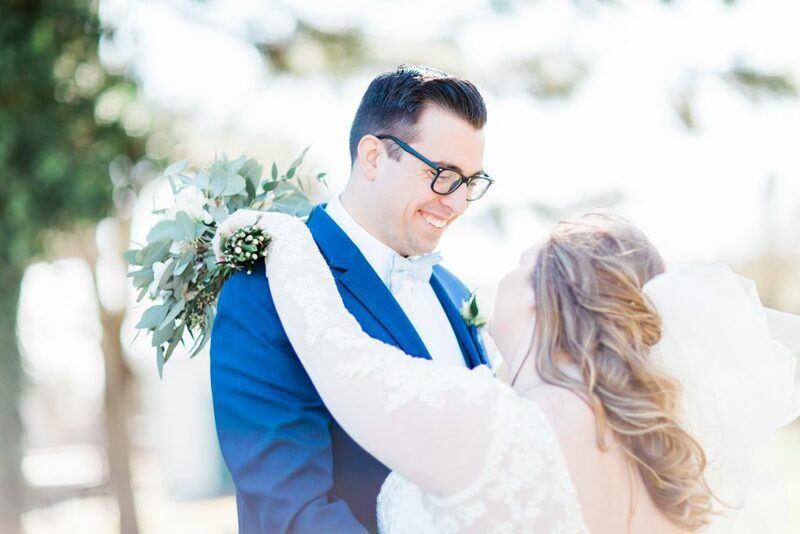 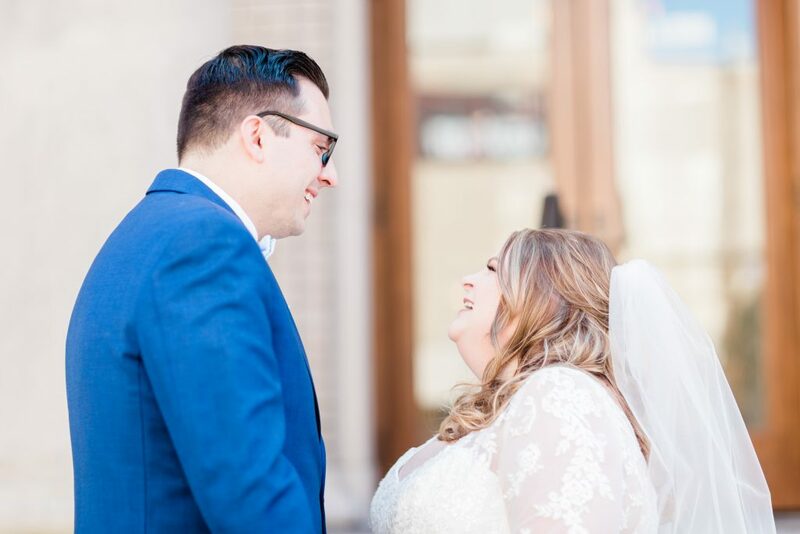 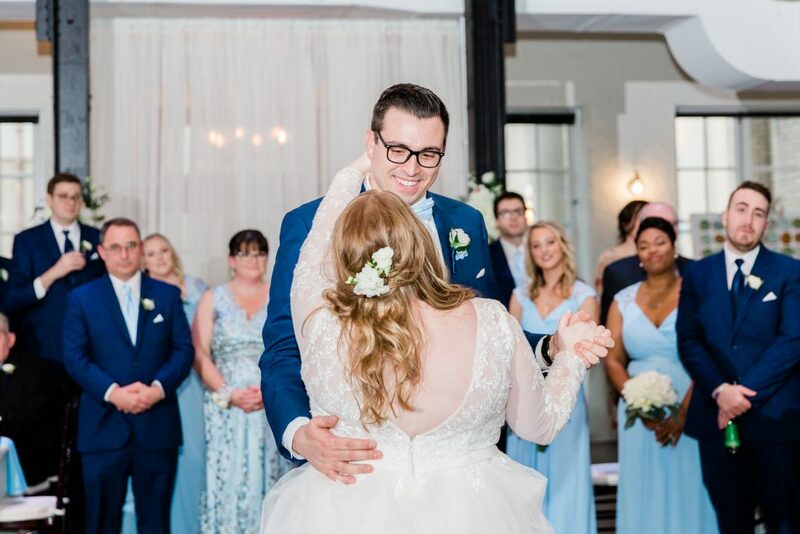 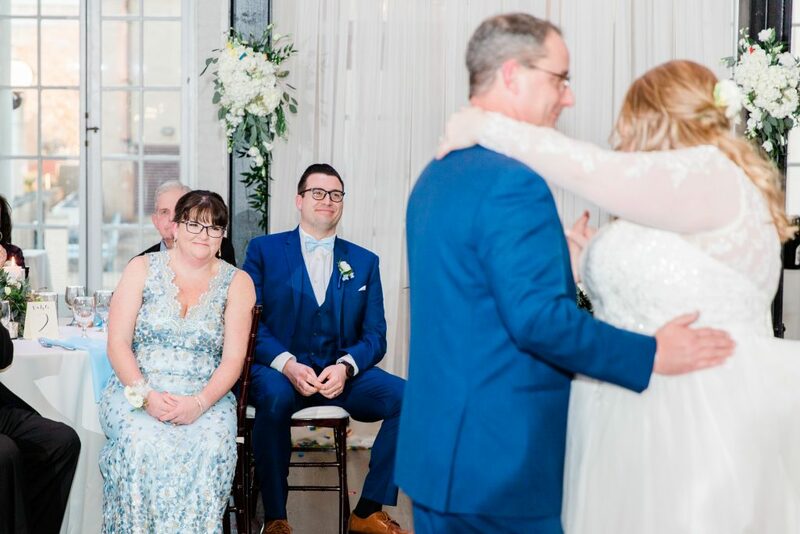 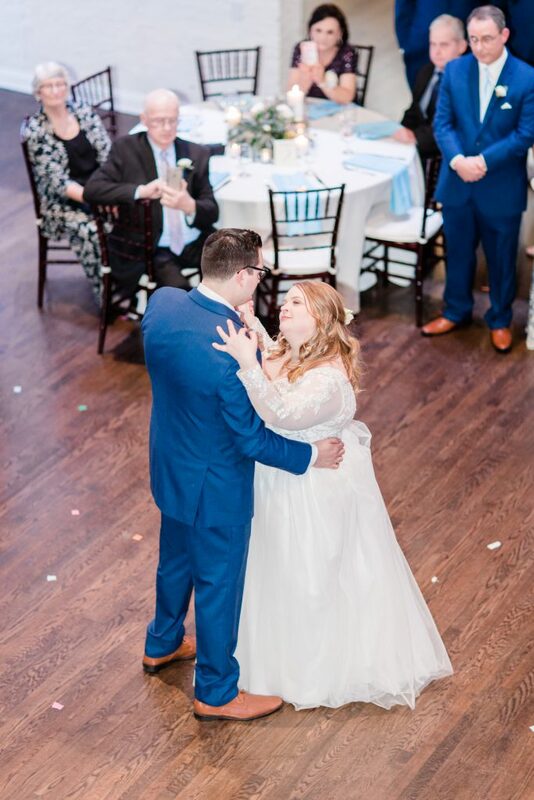 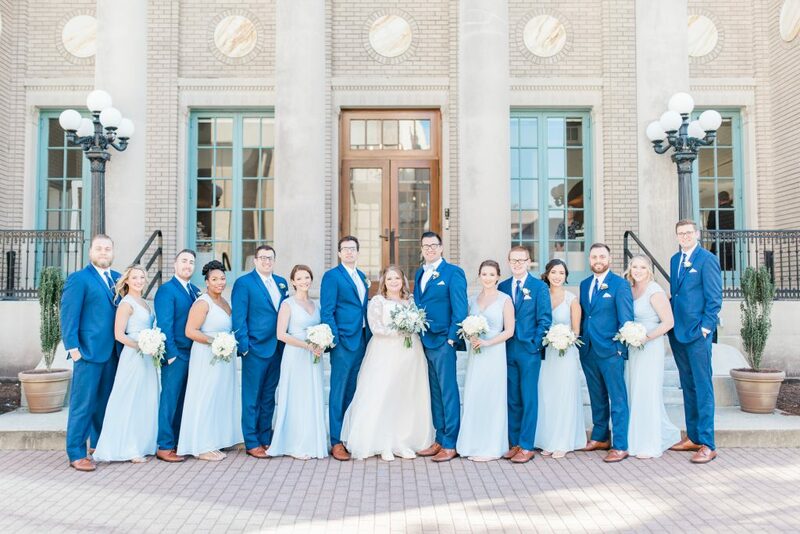 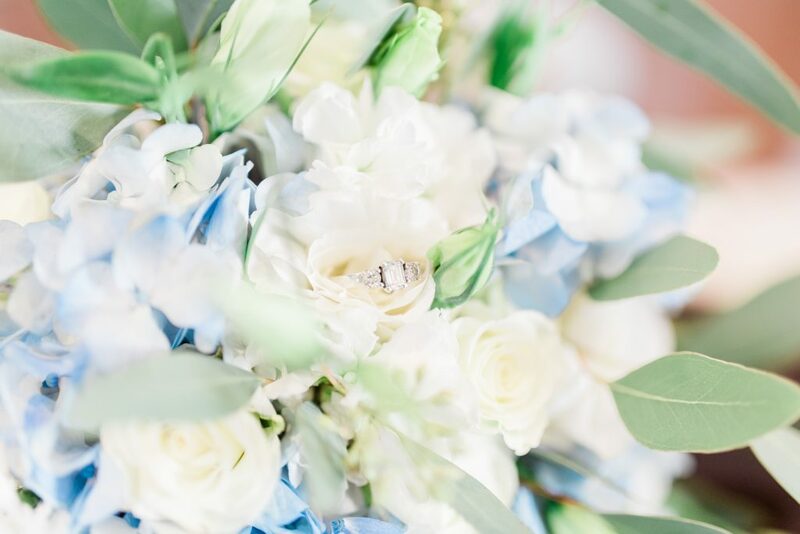 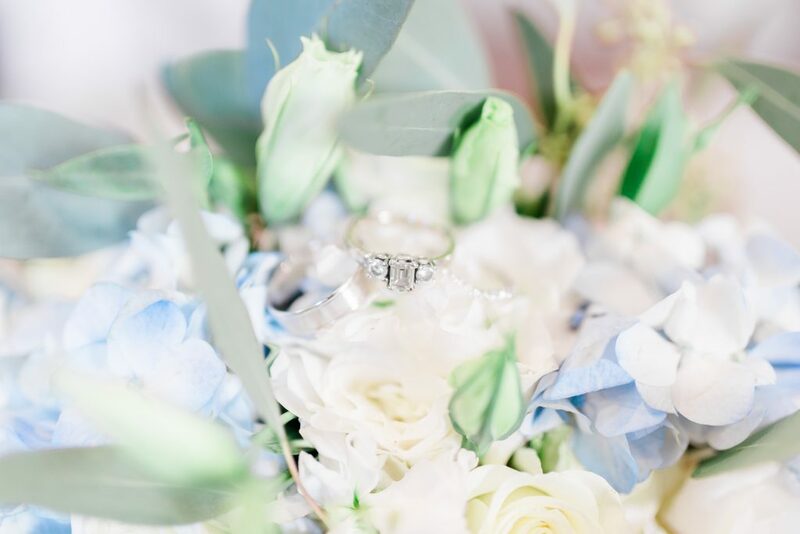 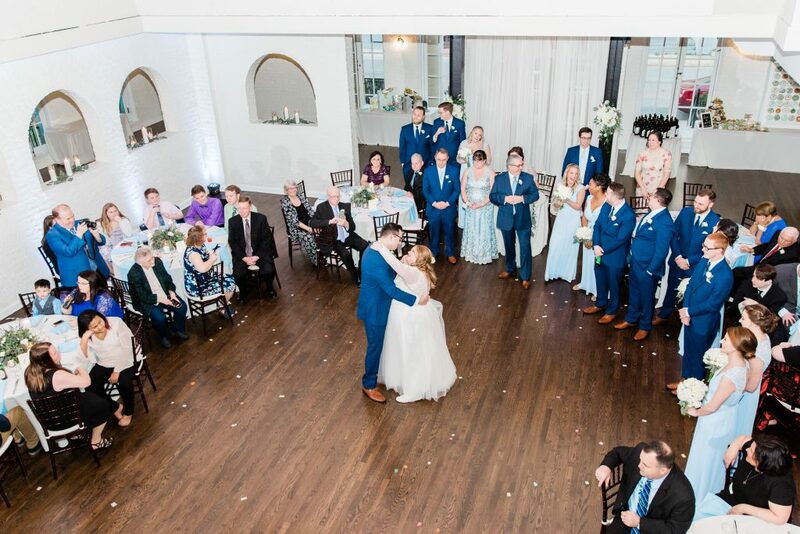 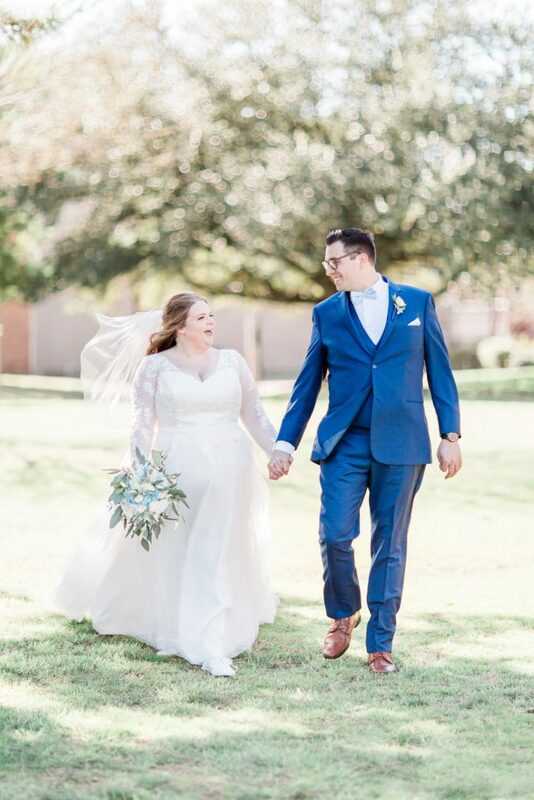 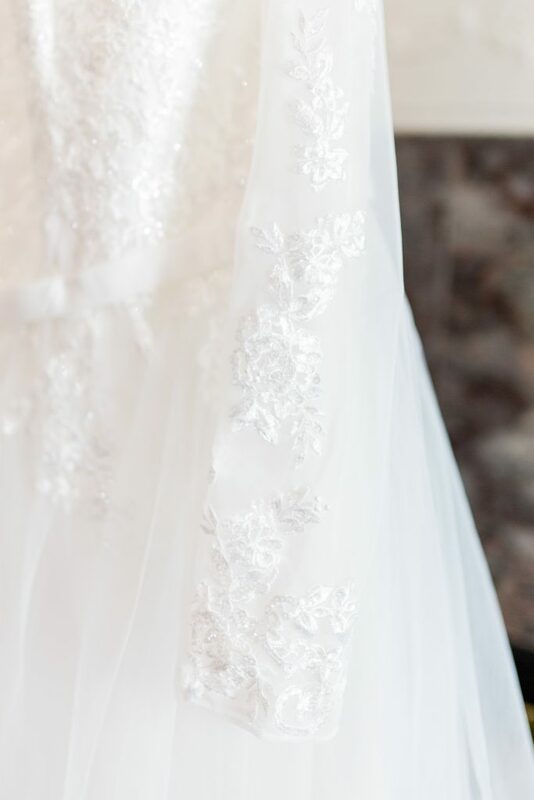 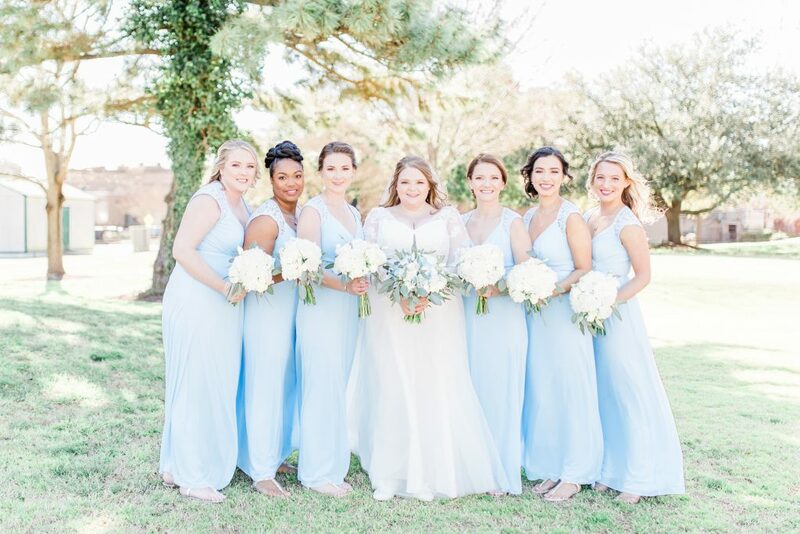 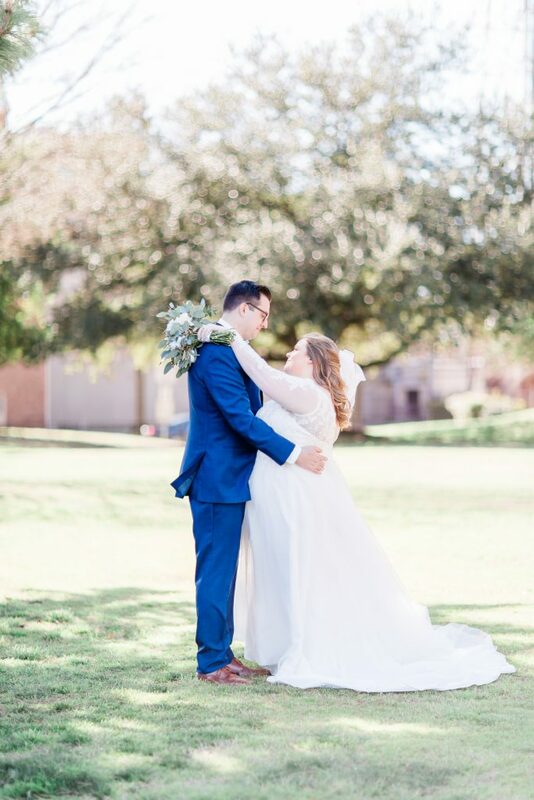 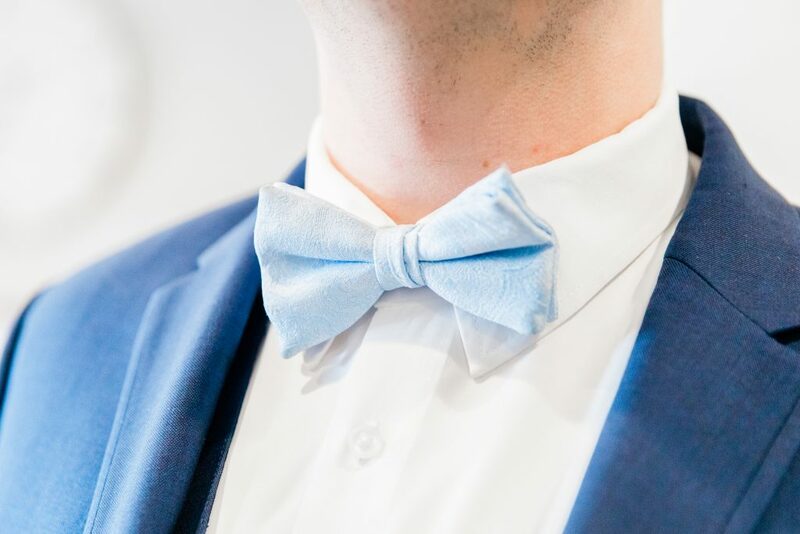 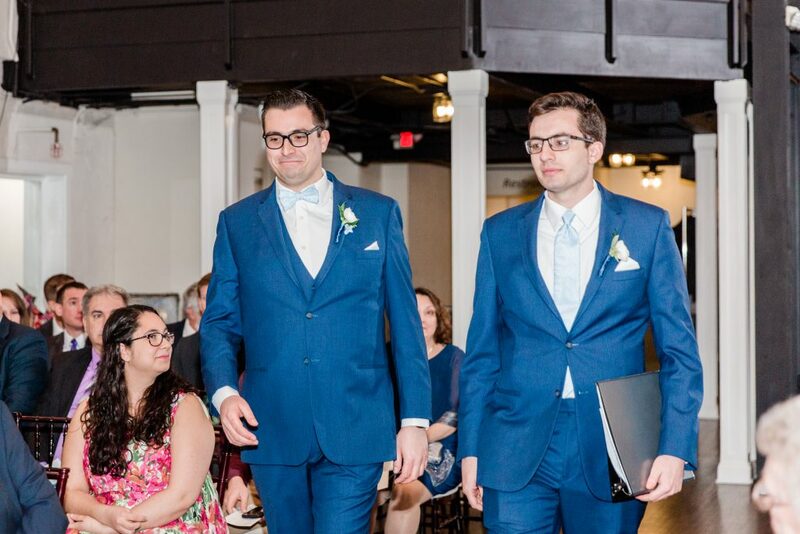 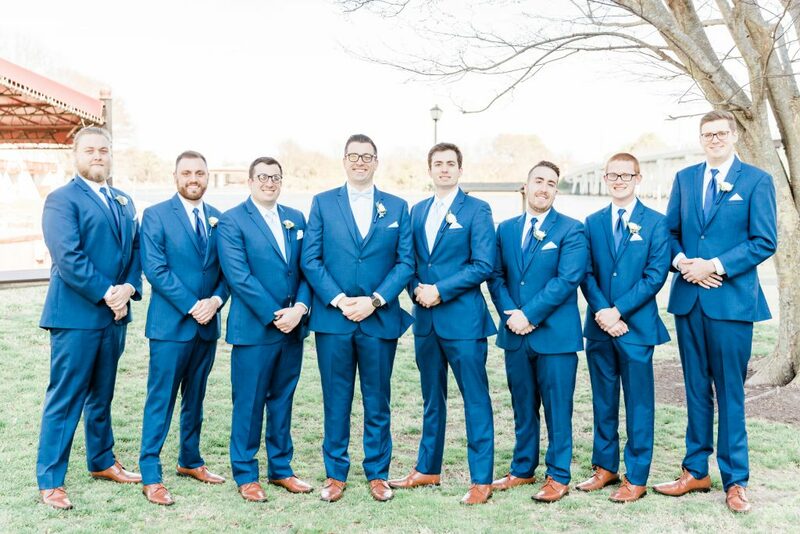 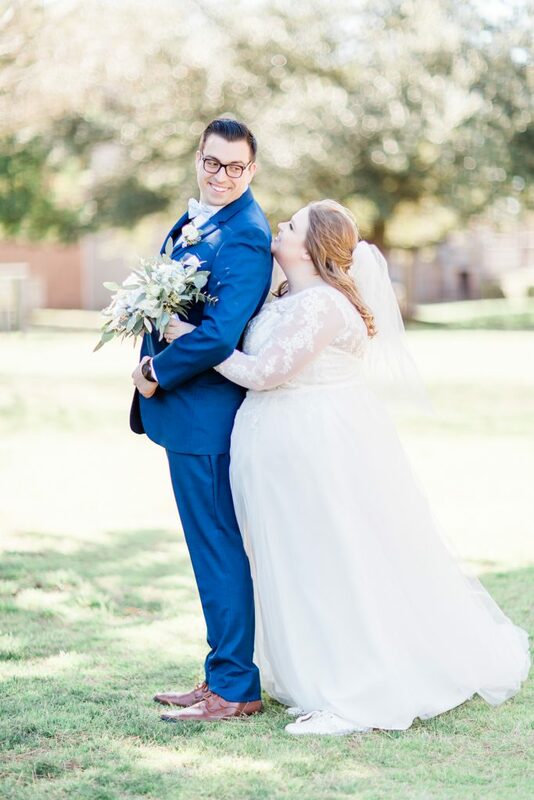 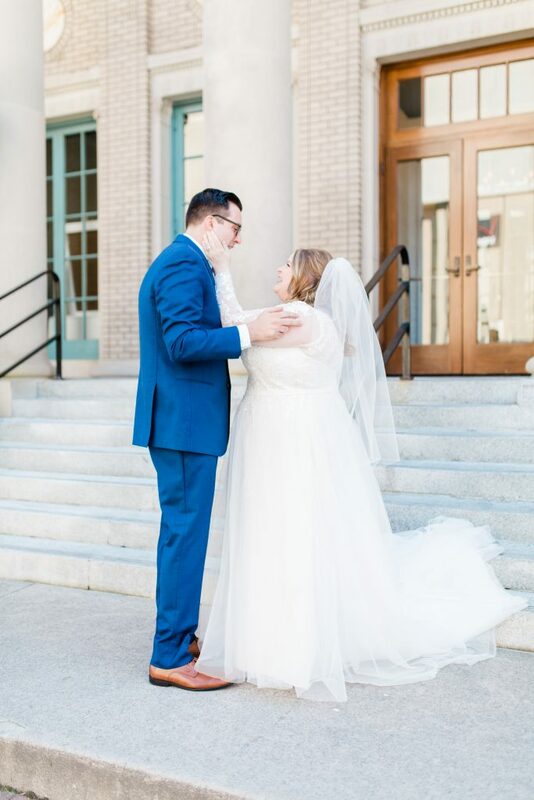 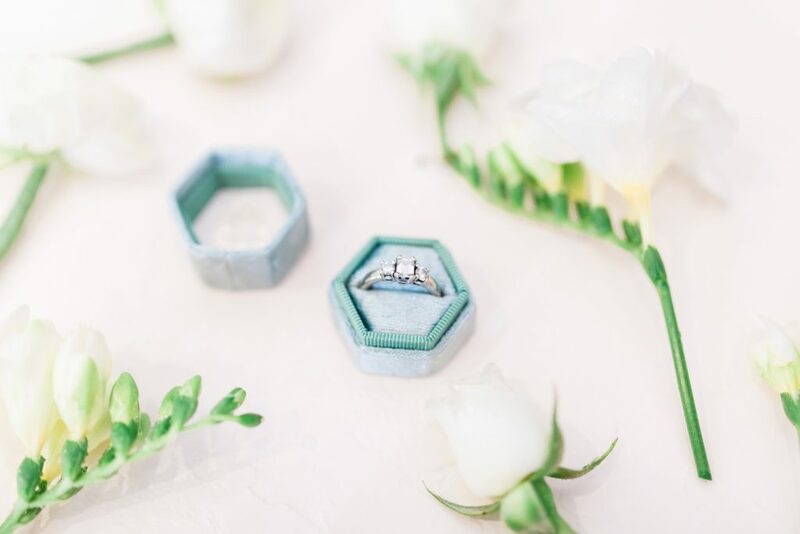 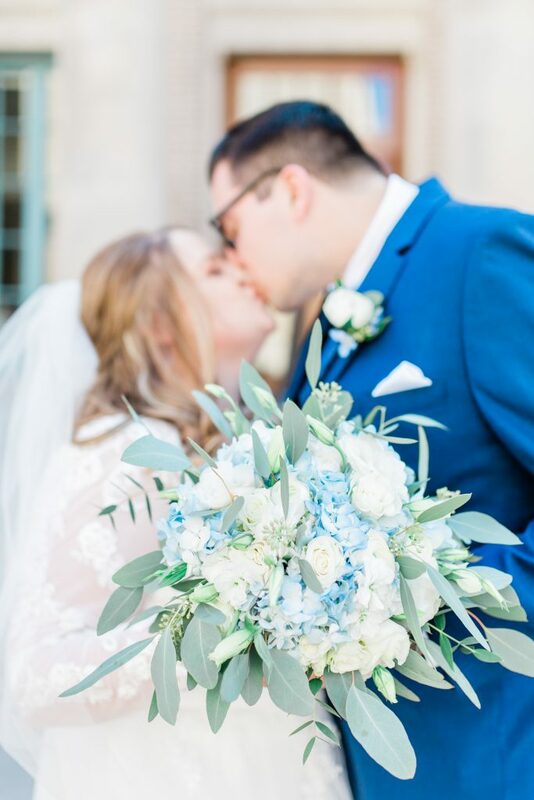 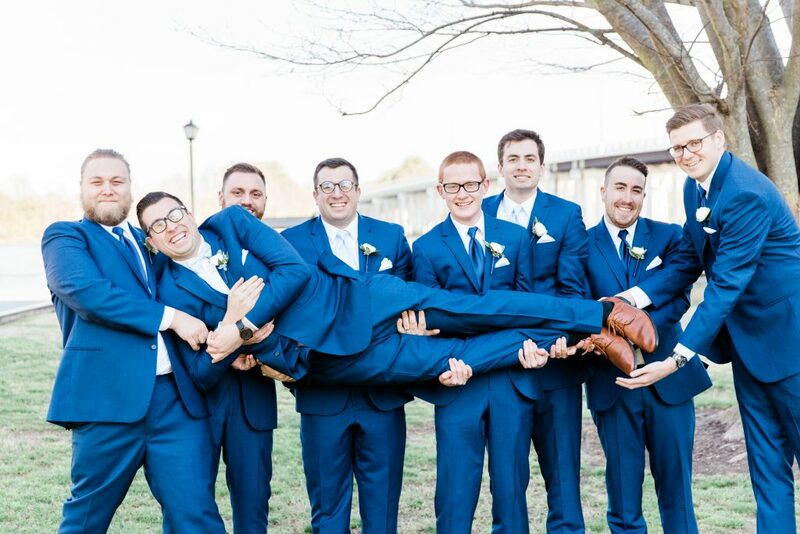 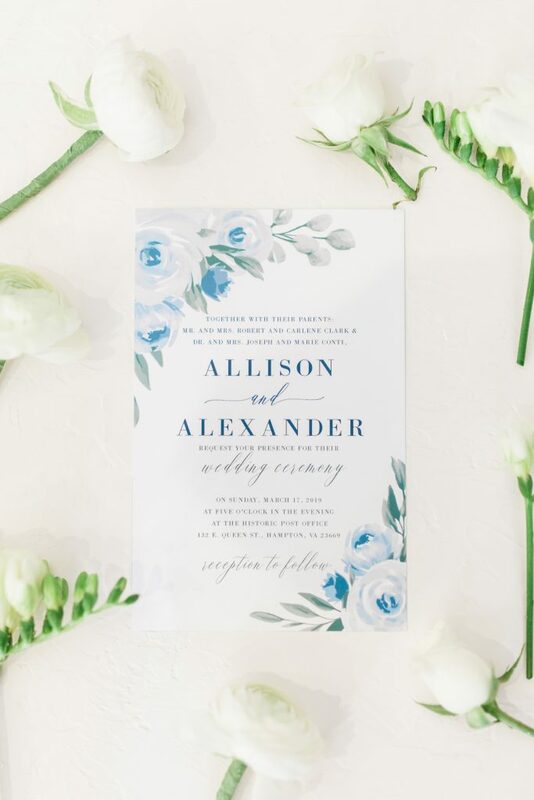 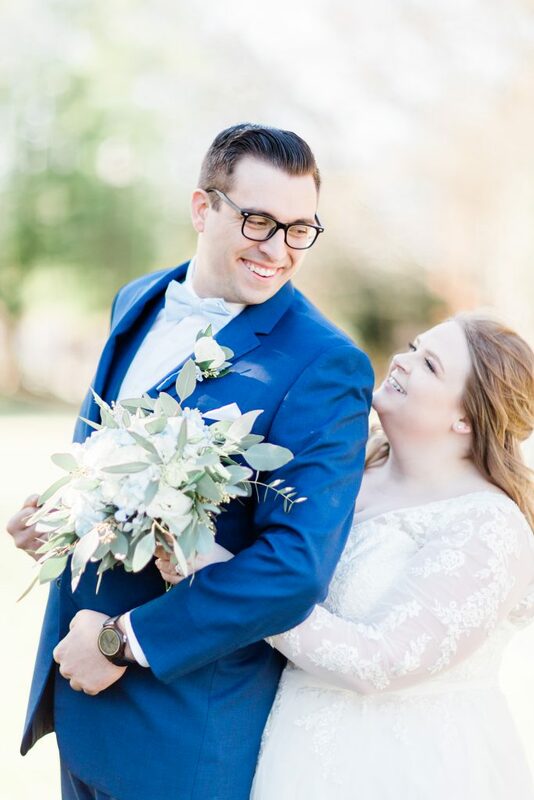 We just loved their colors which was a beautiful blend of blues and ivory. 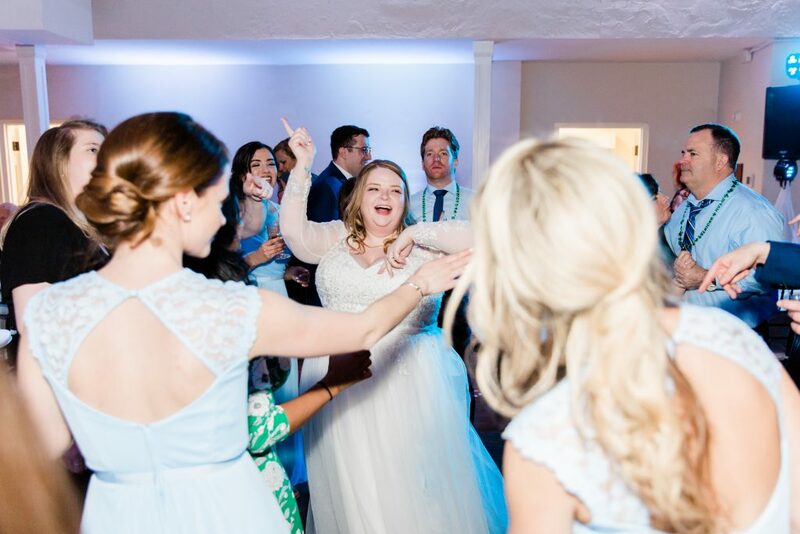 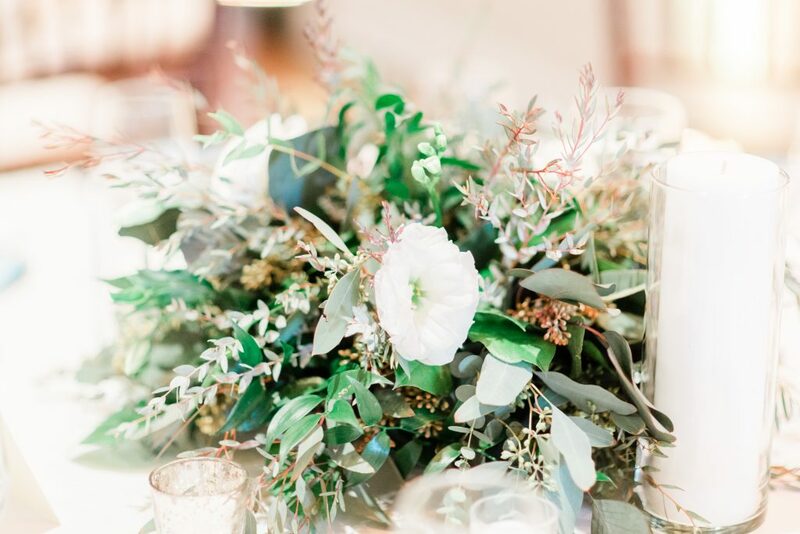 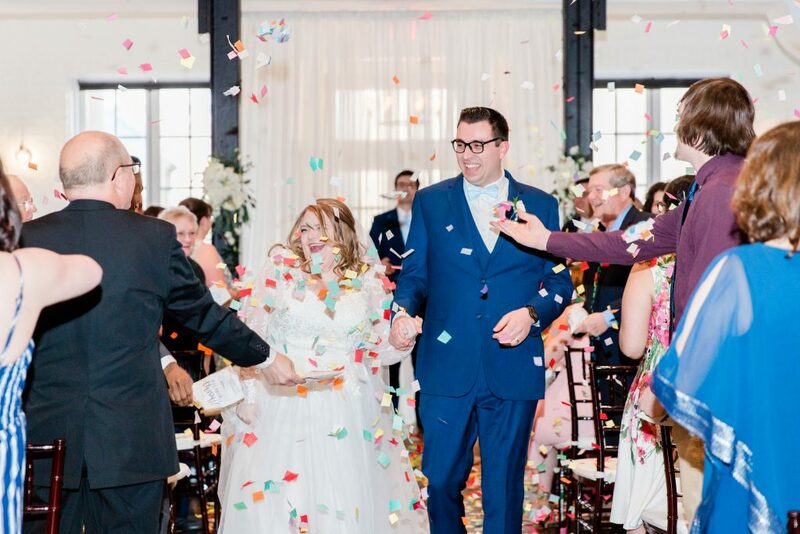 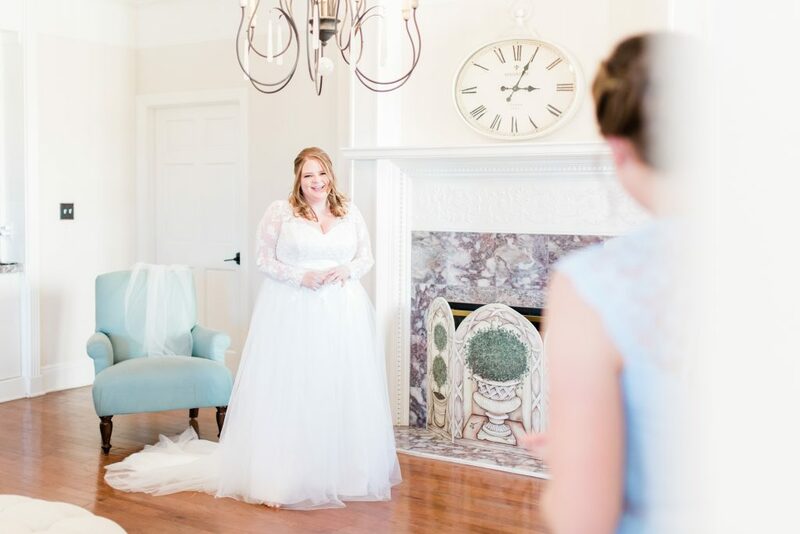 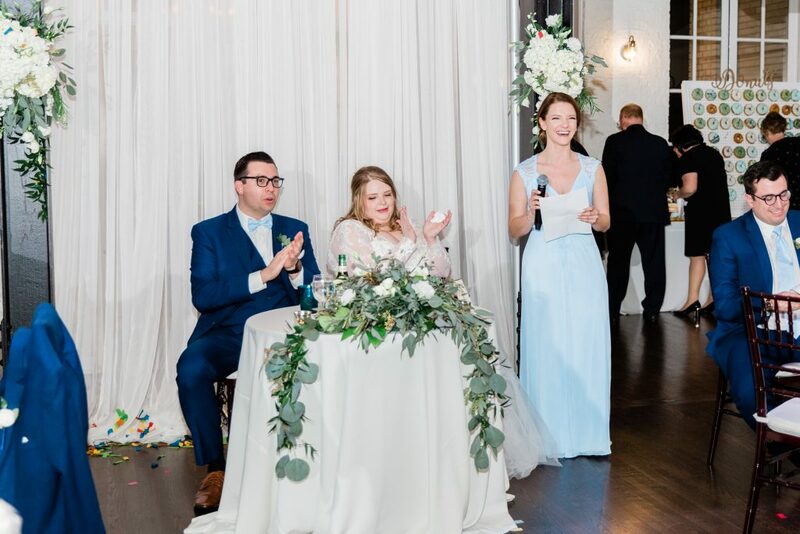 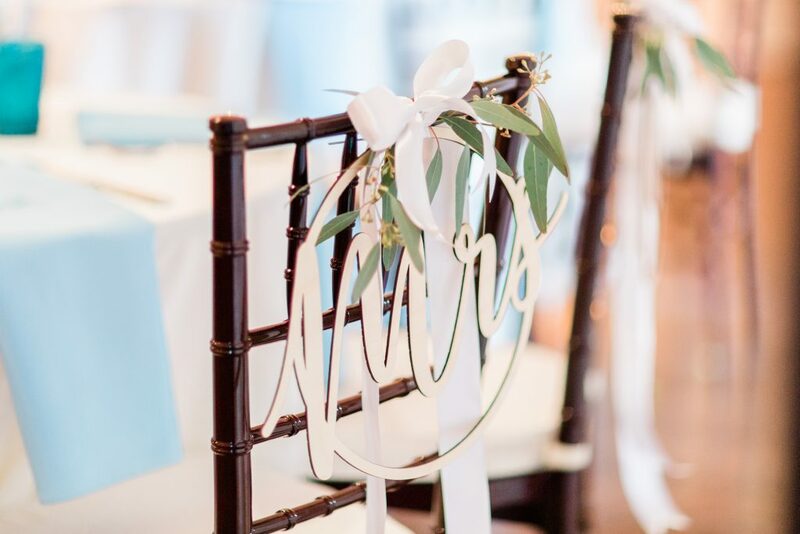 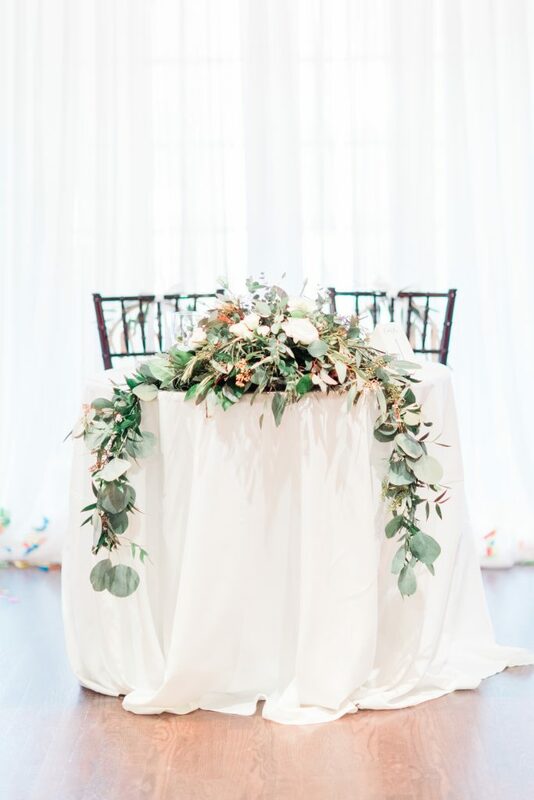 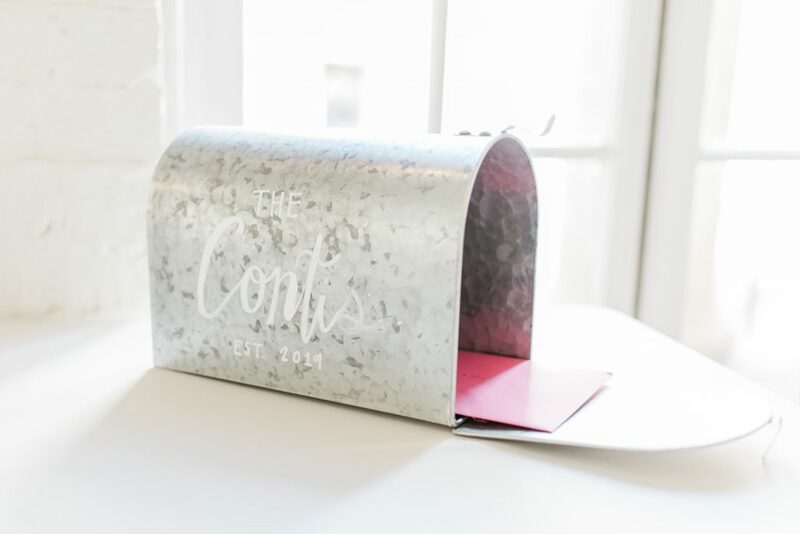 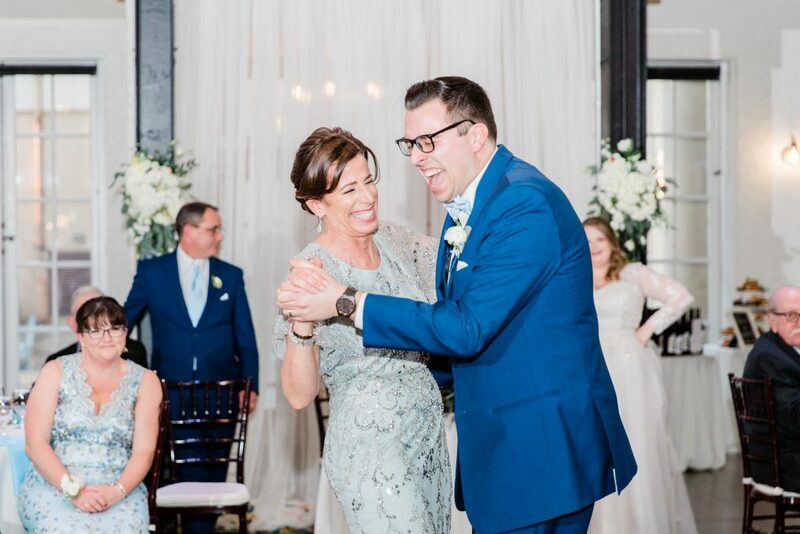 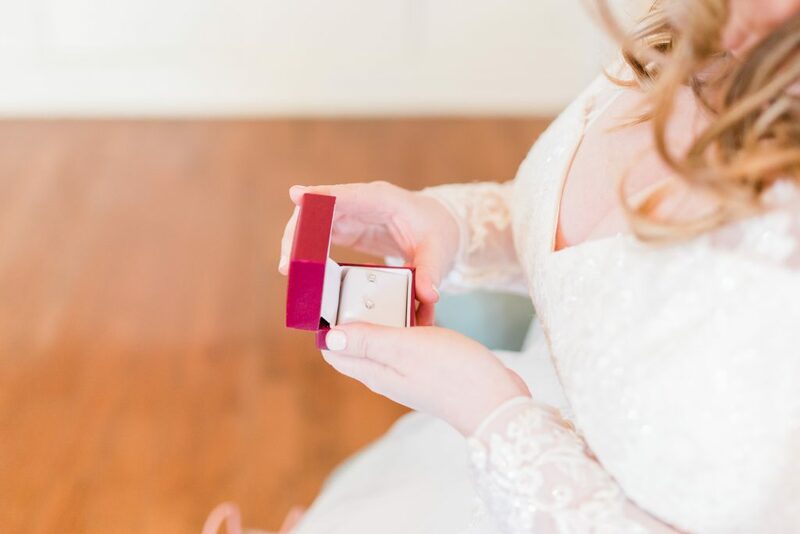 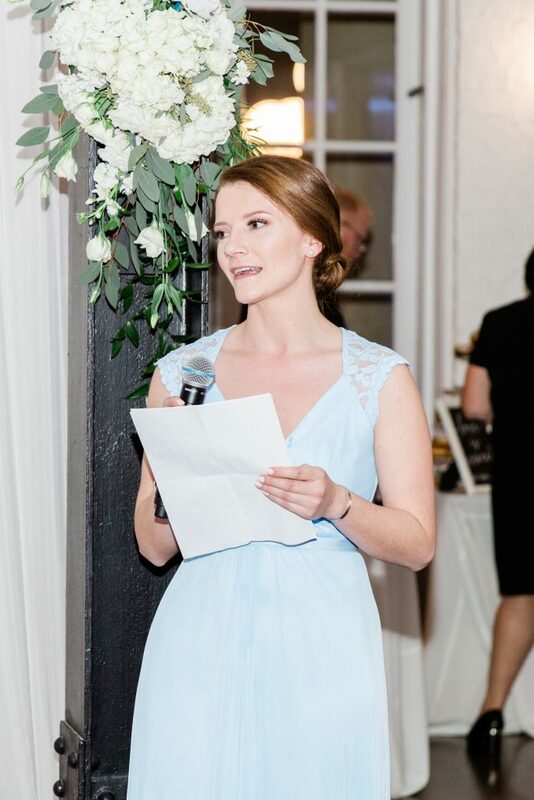 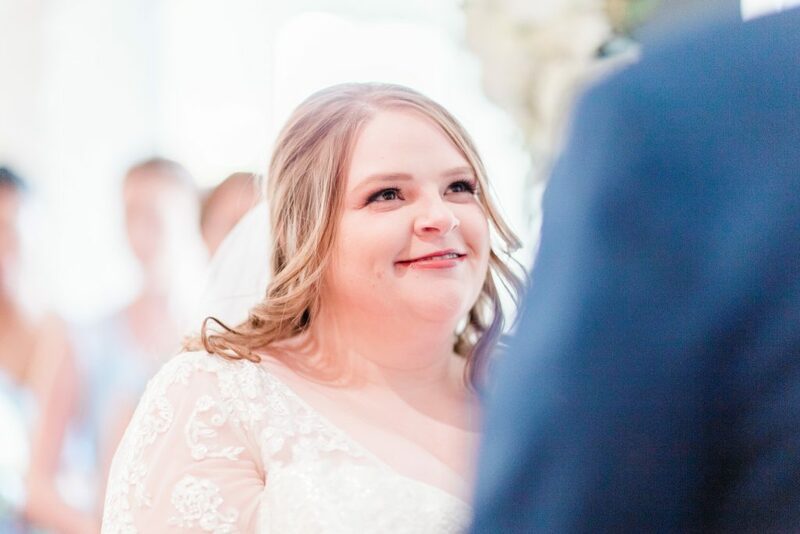 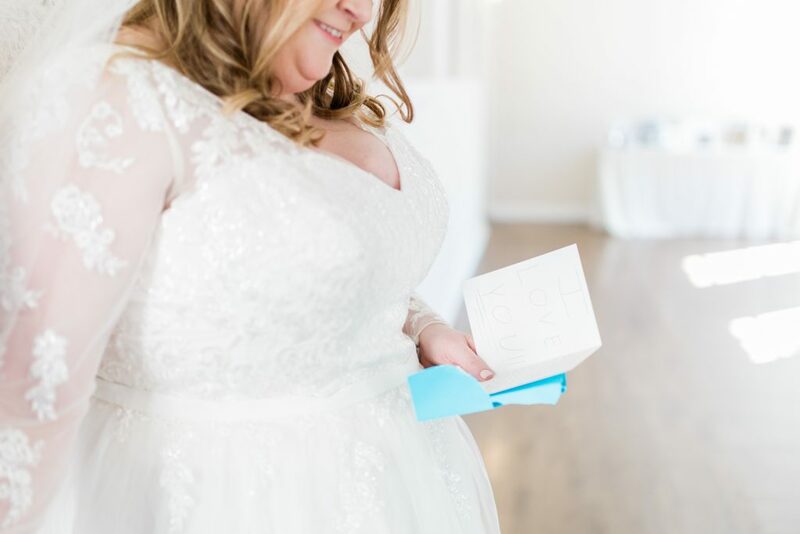 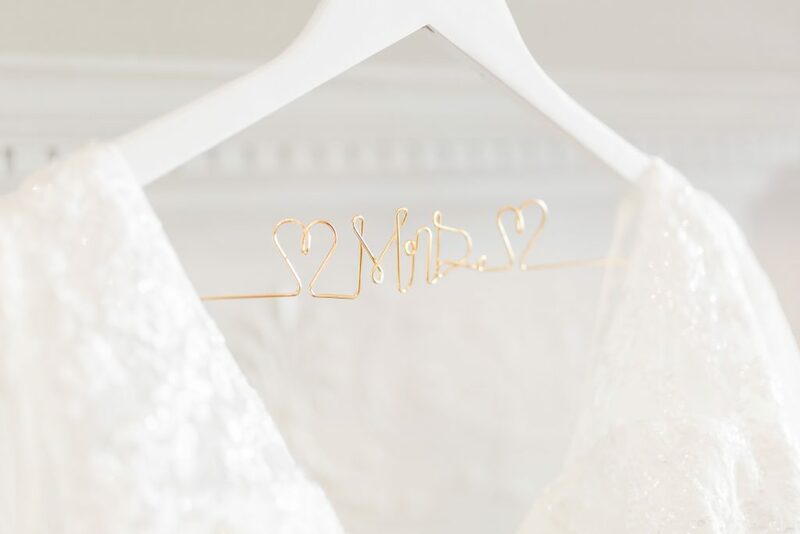 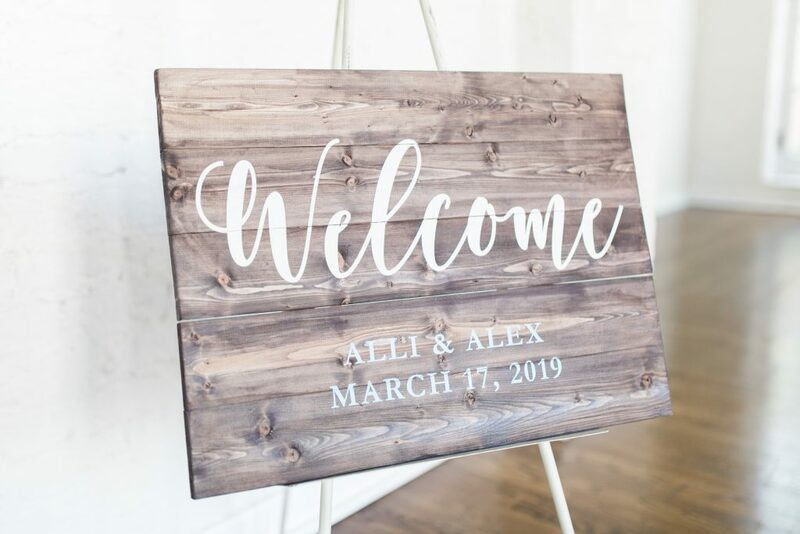 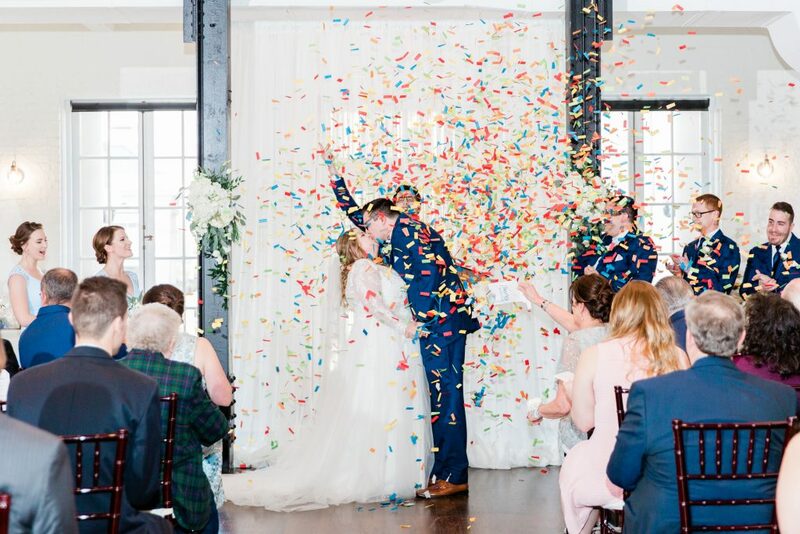 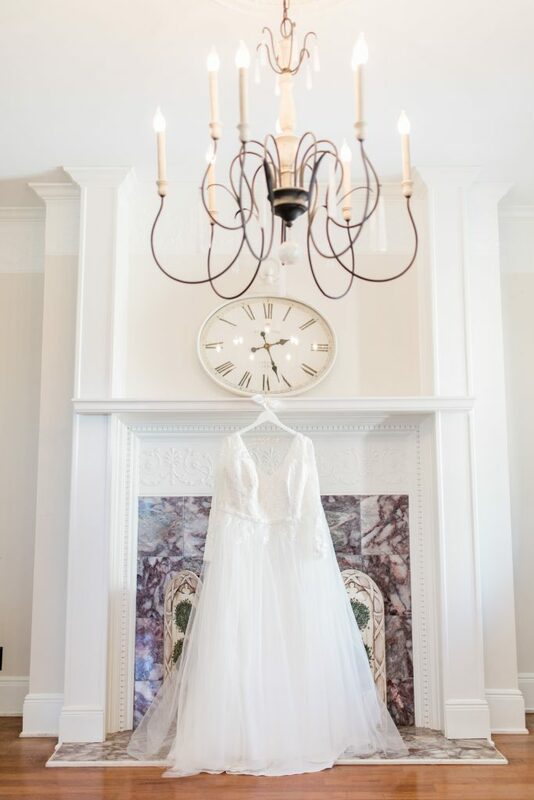 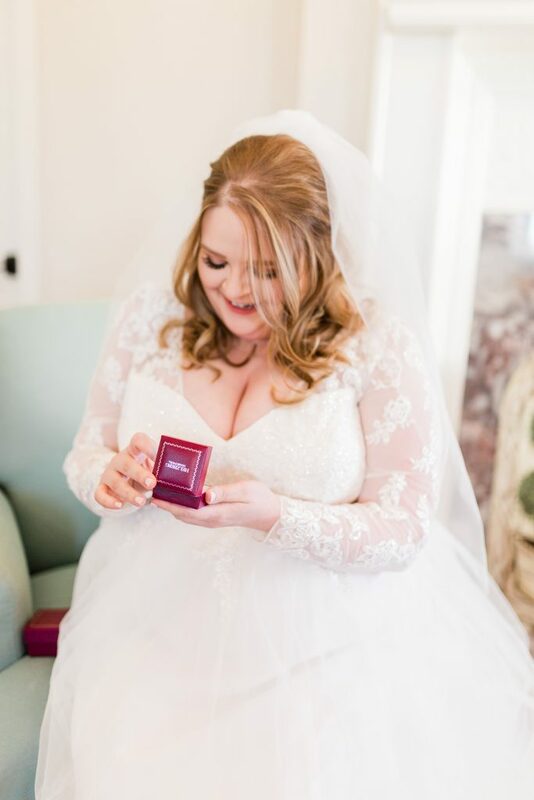 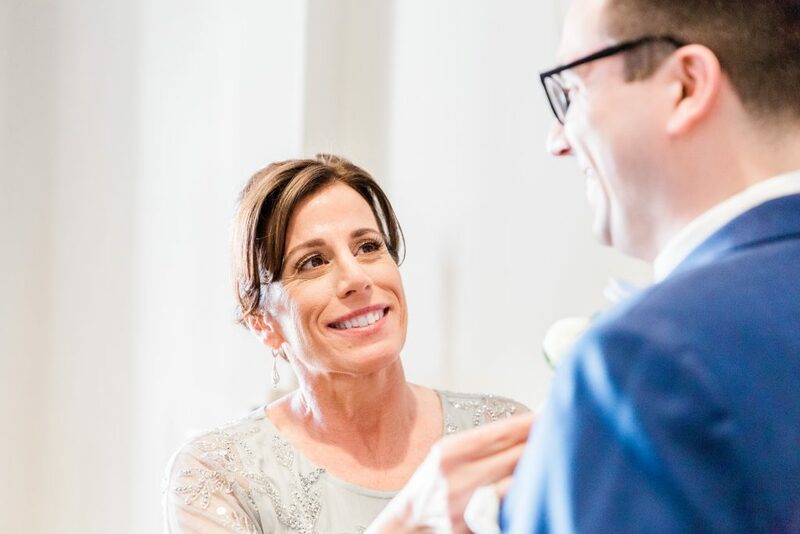 Alli is an event planner herself so everything was flawless down to the smallest detail! 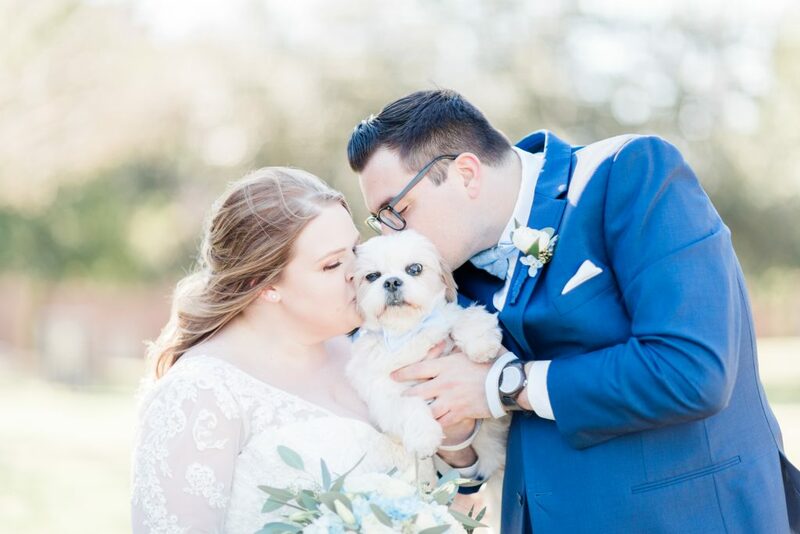 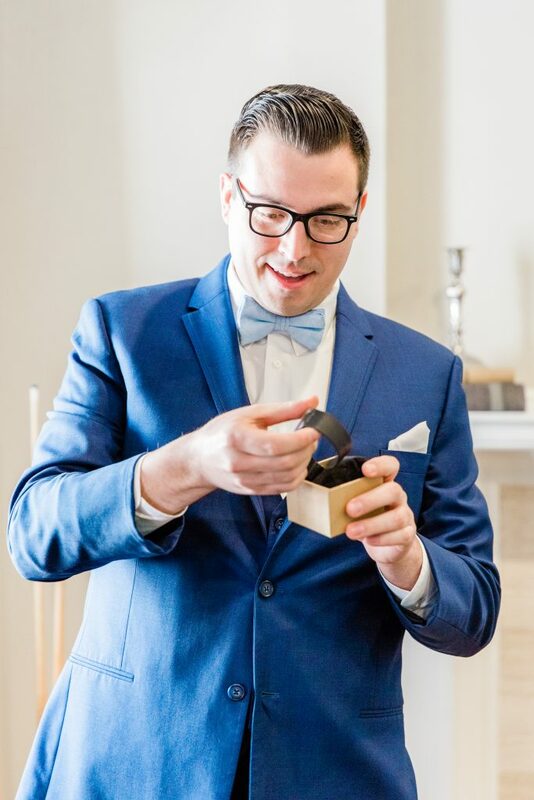 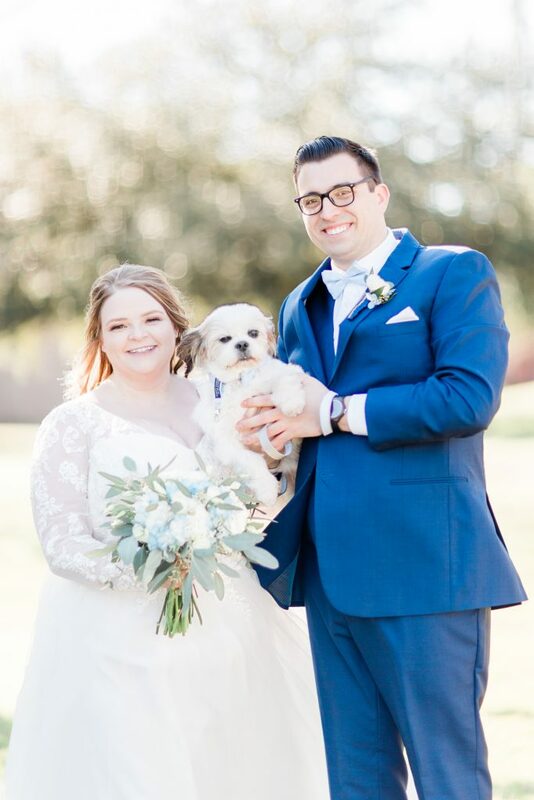 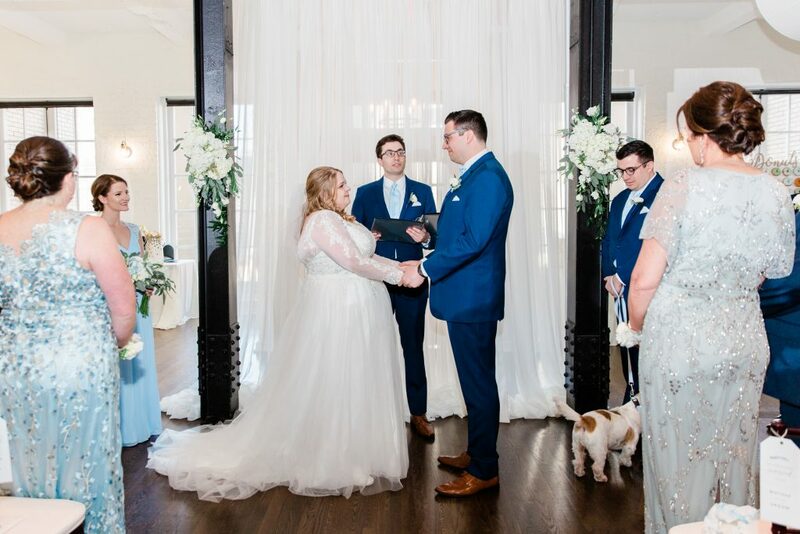 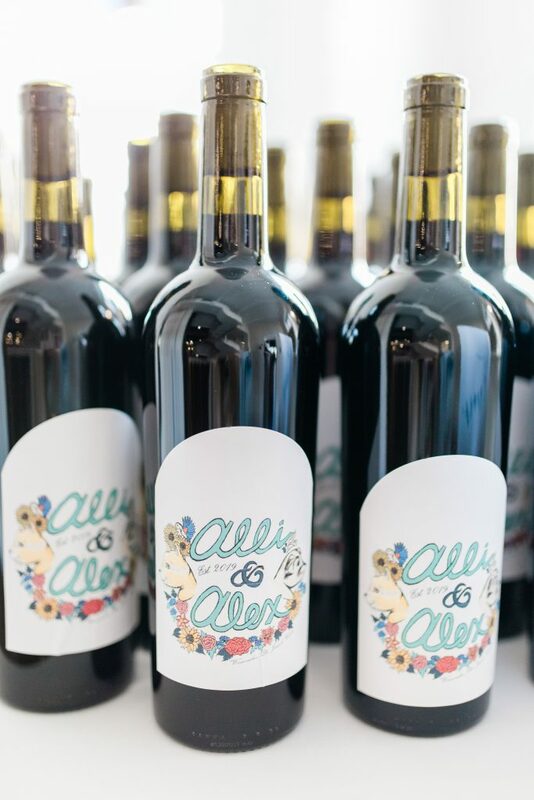 One of our favorite parts of the wedding is how they incorporated their adorable dog Rocco as the ring bearer! 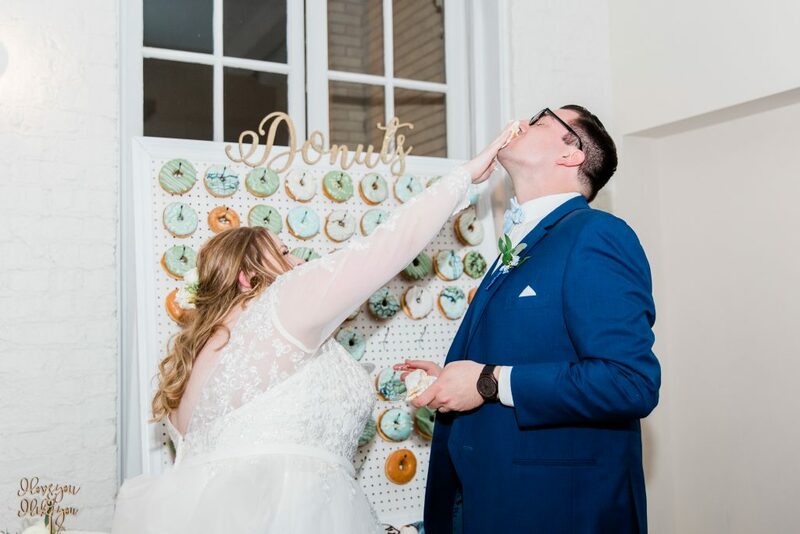 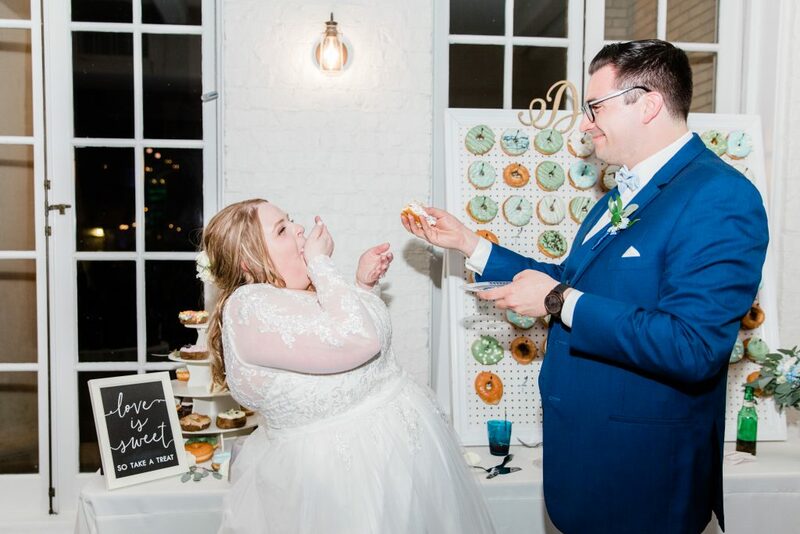 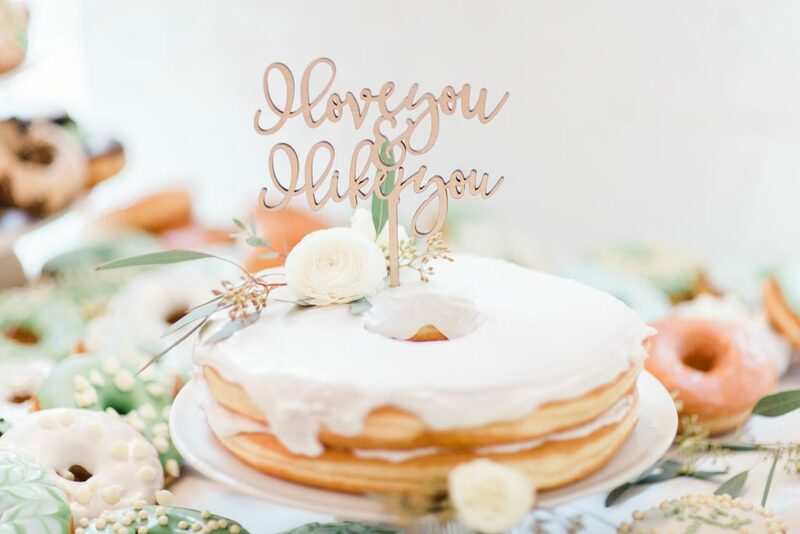 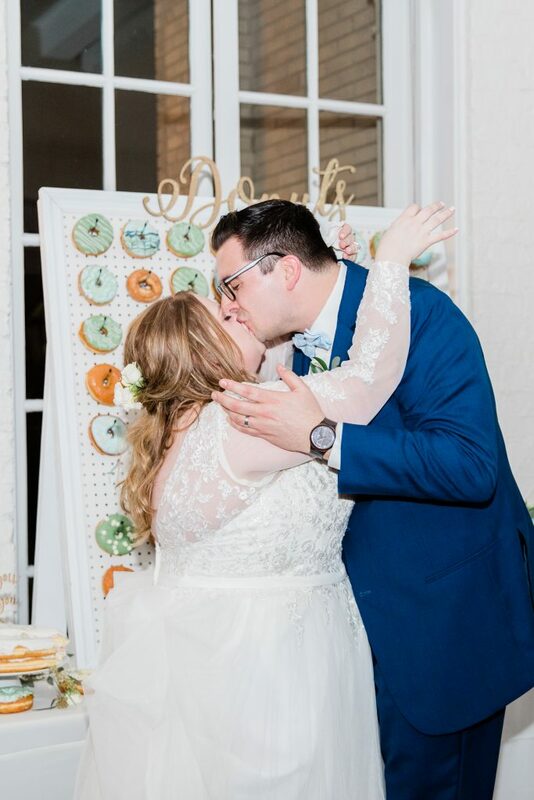 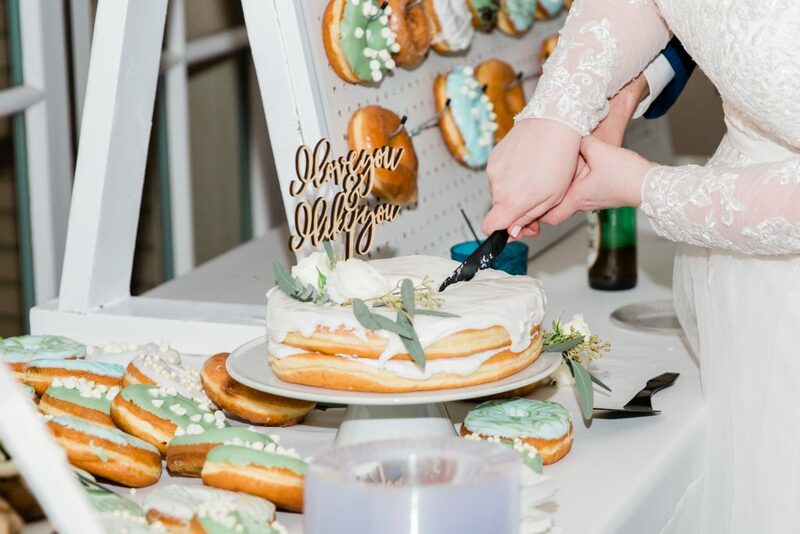 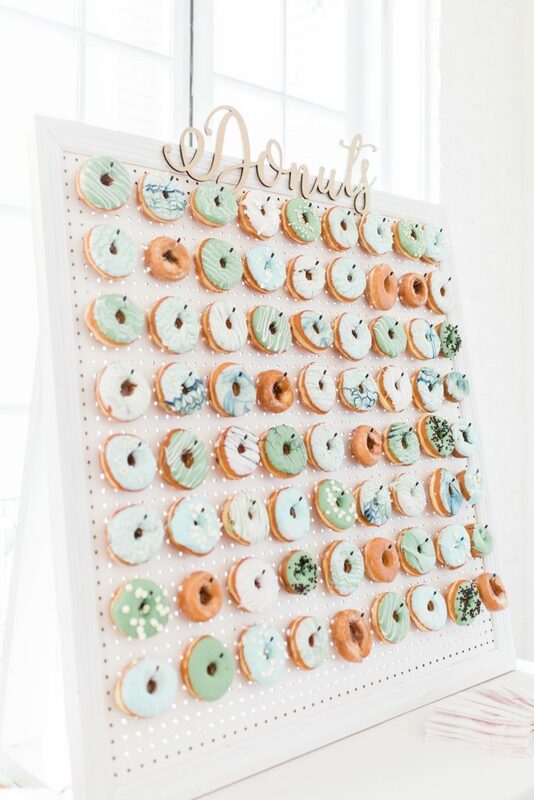 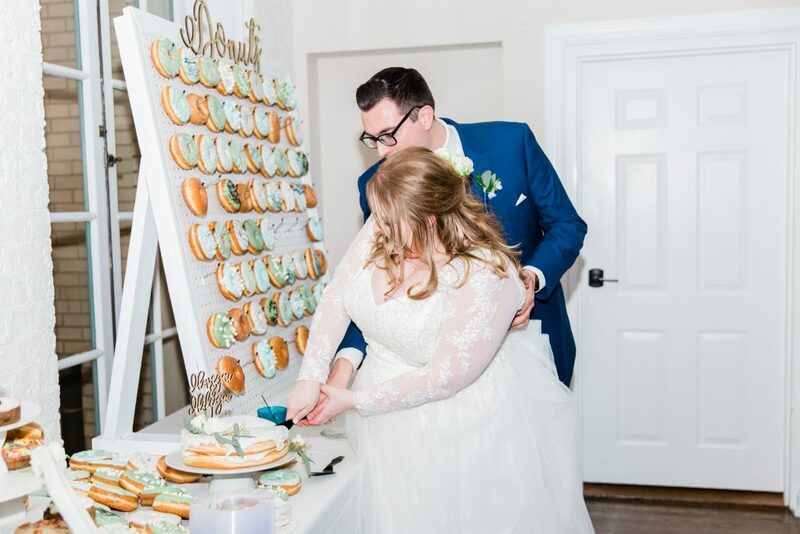 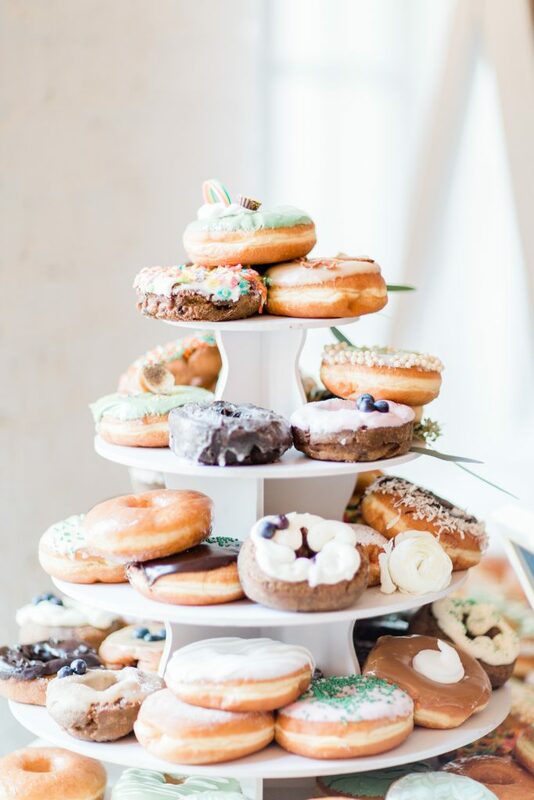 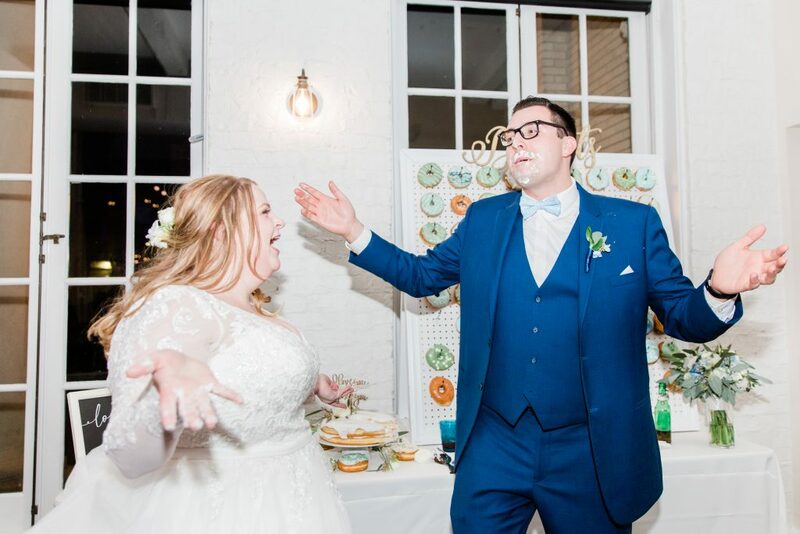 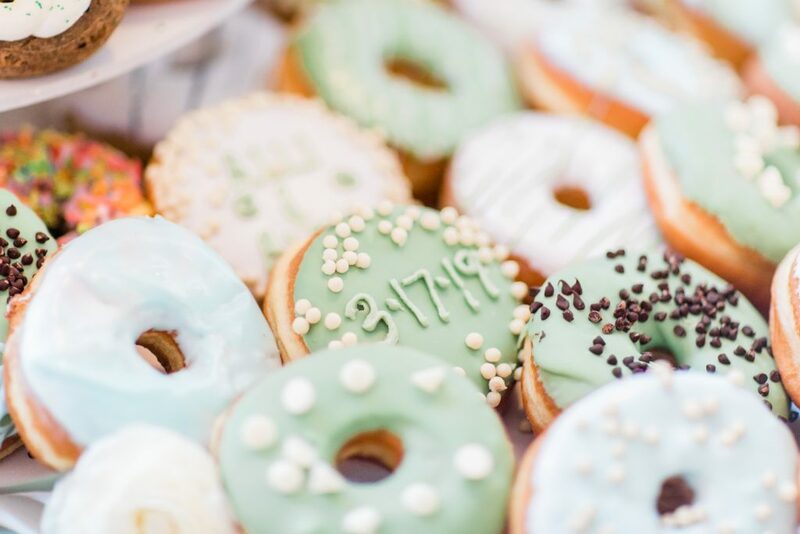 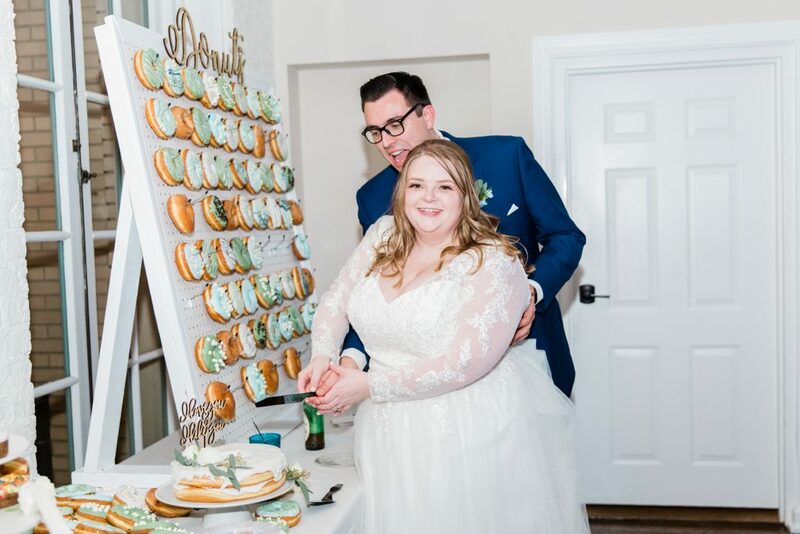 We also really loved their donut wall and cake as well as their favors which were custom bottles of wine made by the father of the groom! 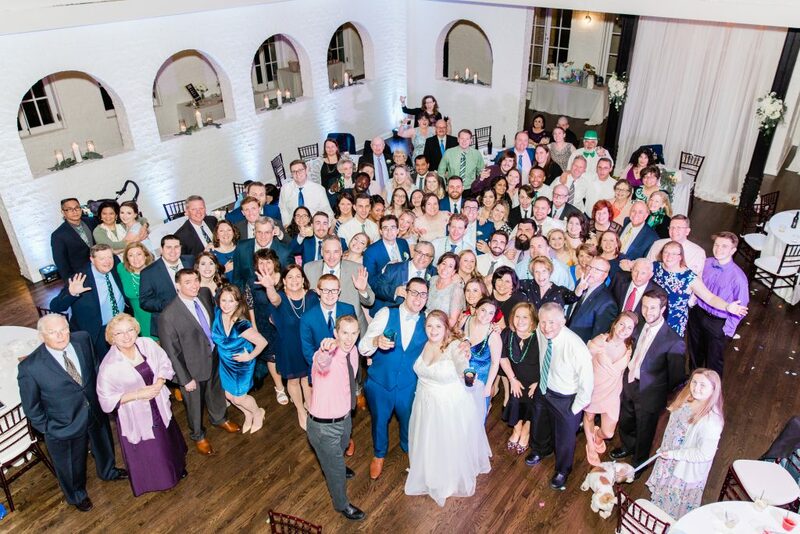 This was SUCH a fun group of people to work with! 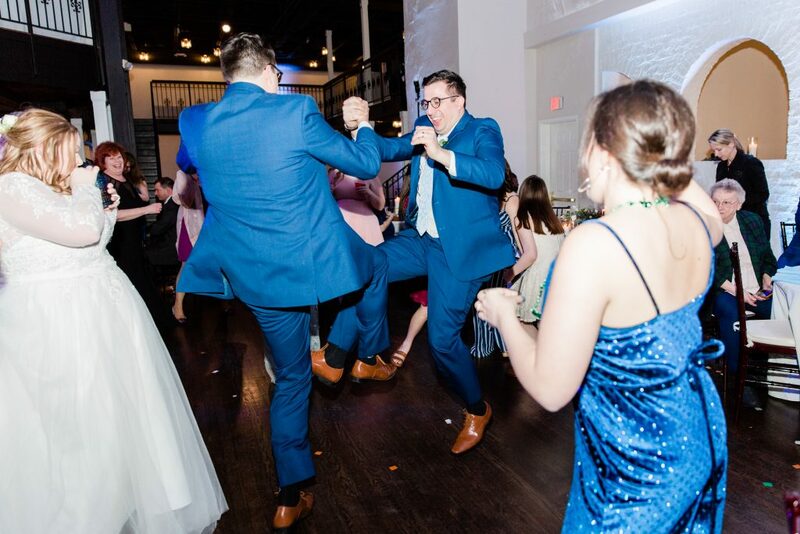 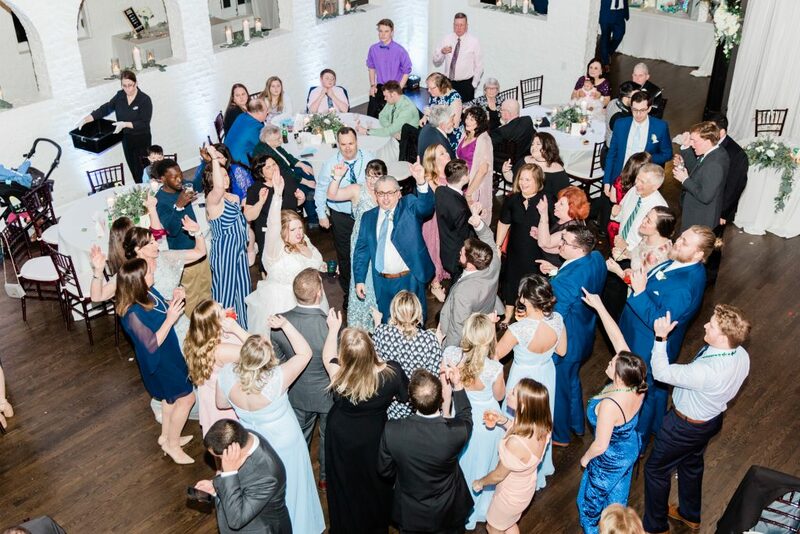 The energy at the reception was amazing and only gained momentum throughout the night. 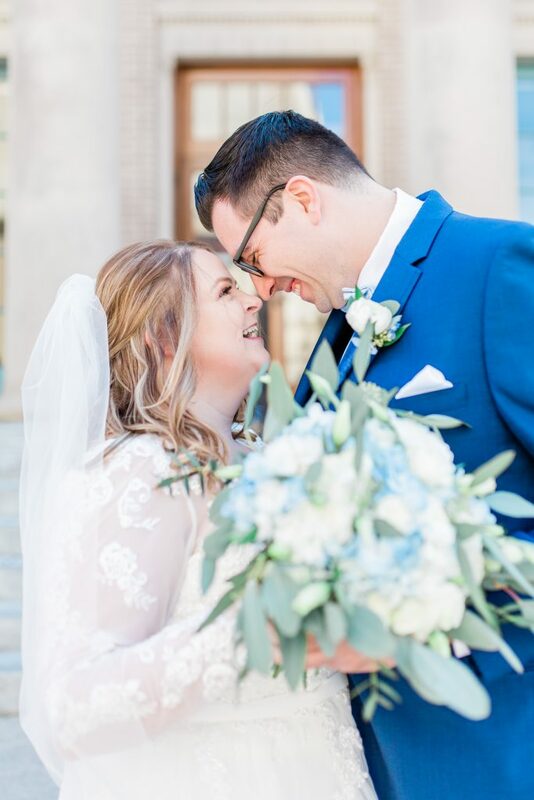 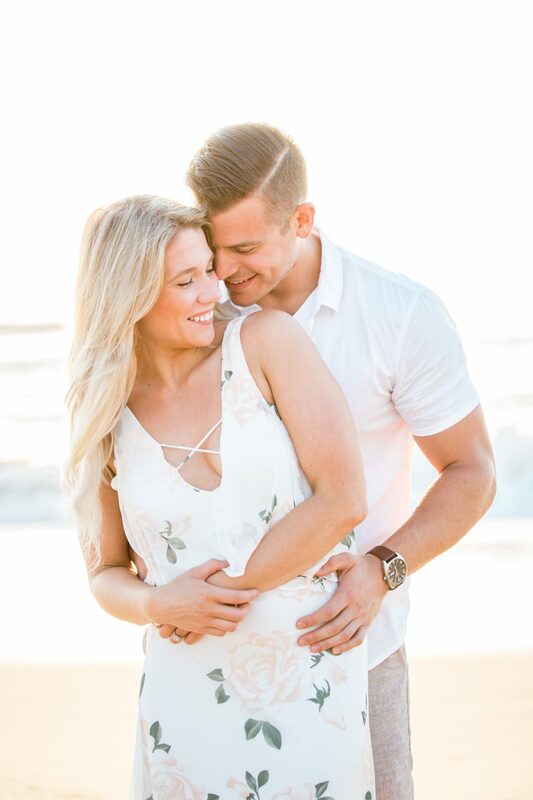 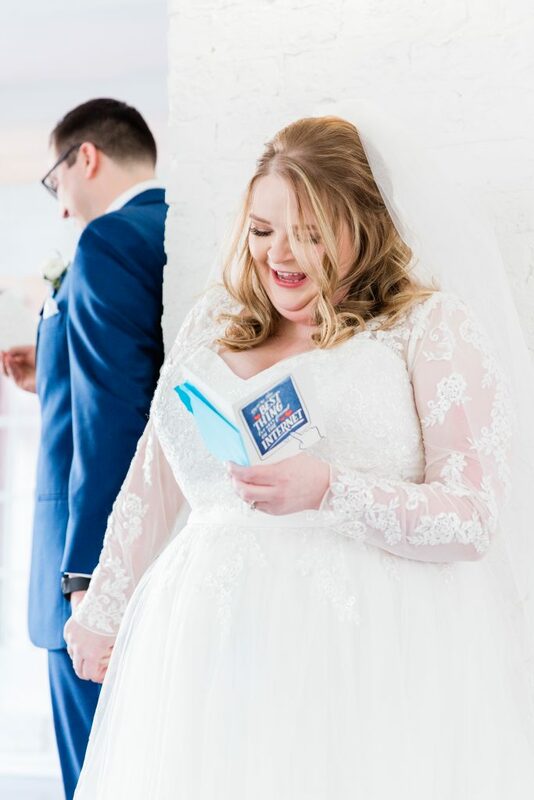 Alli and Alex, we hope that you are having just as much fun on your honeymoon right now in Ireland!! 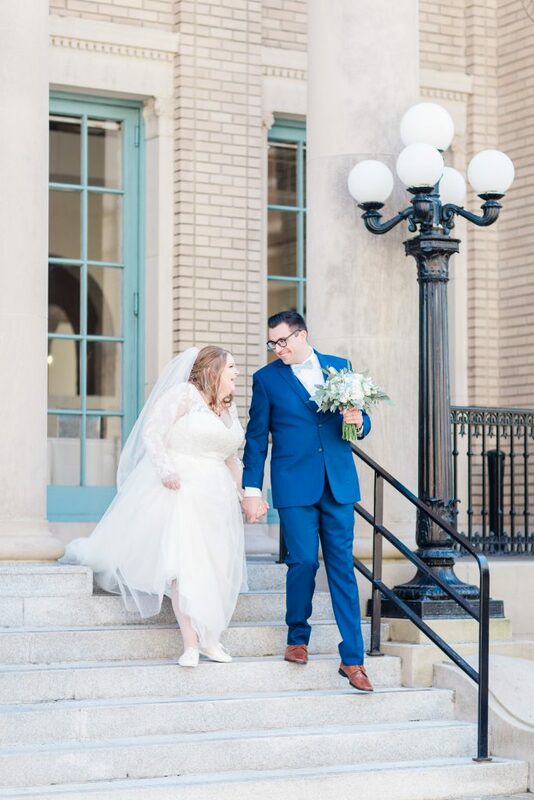 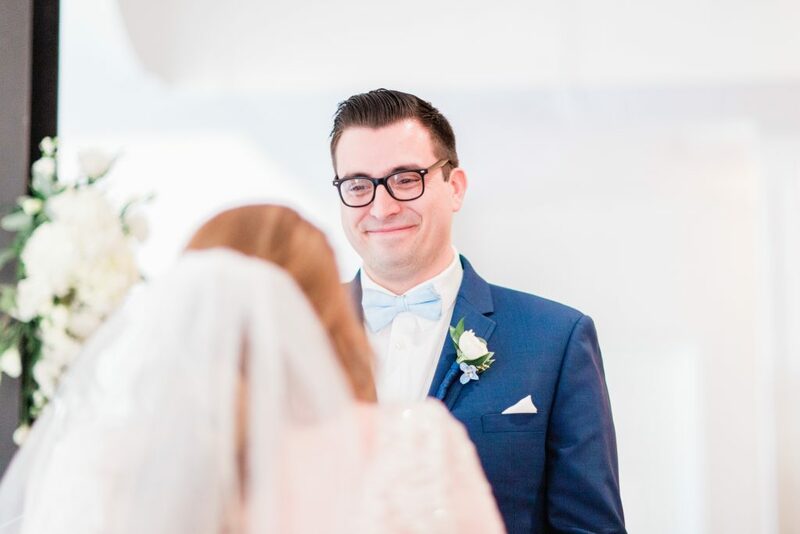 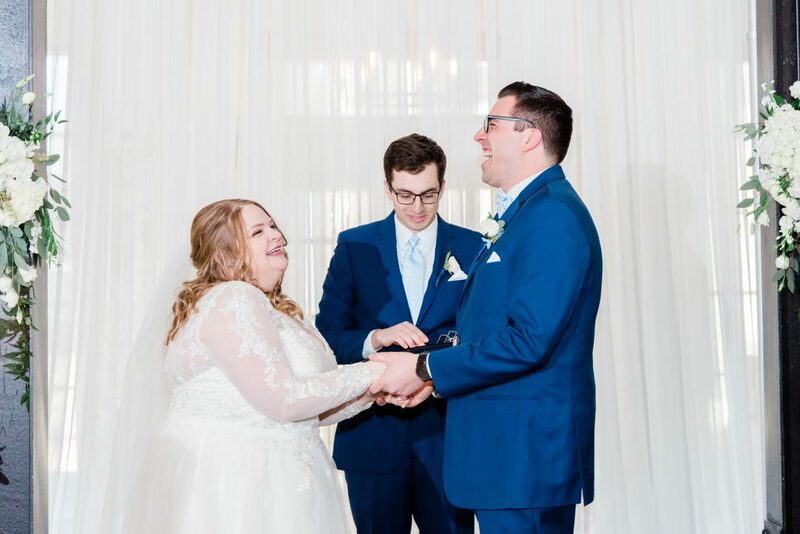 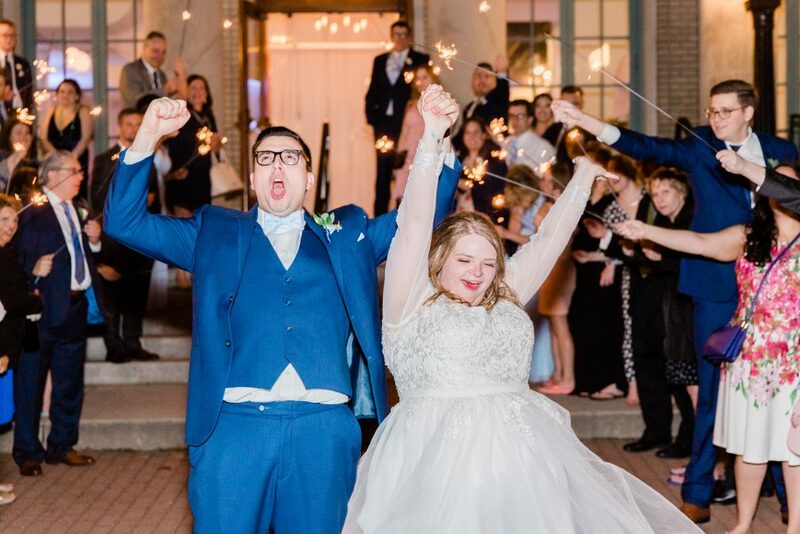 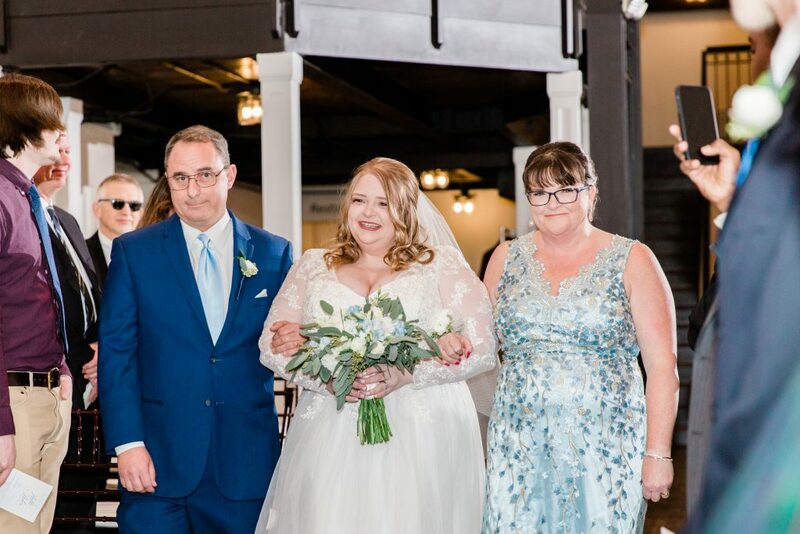 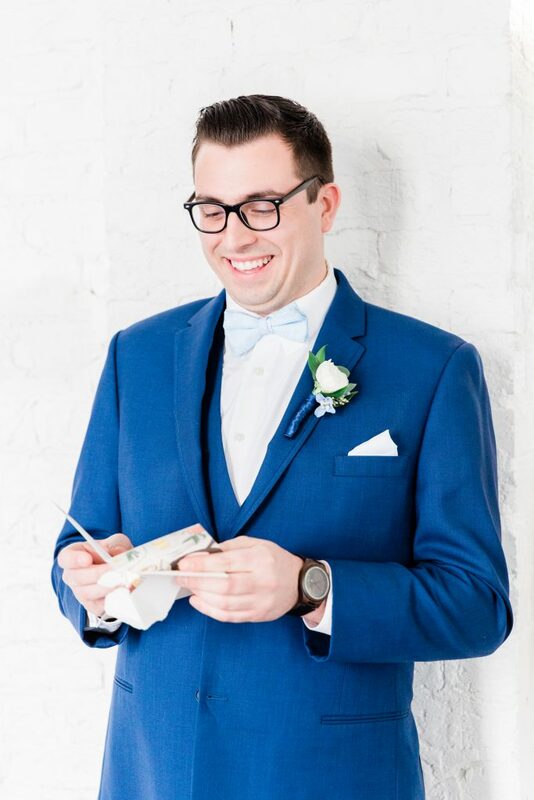 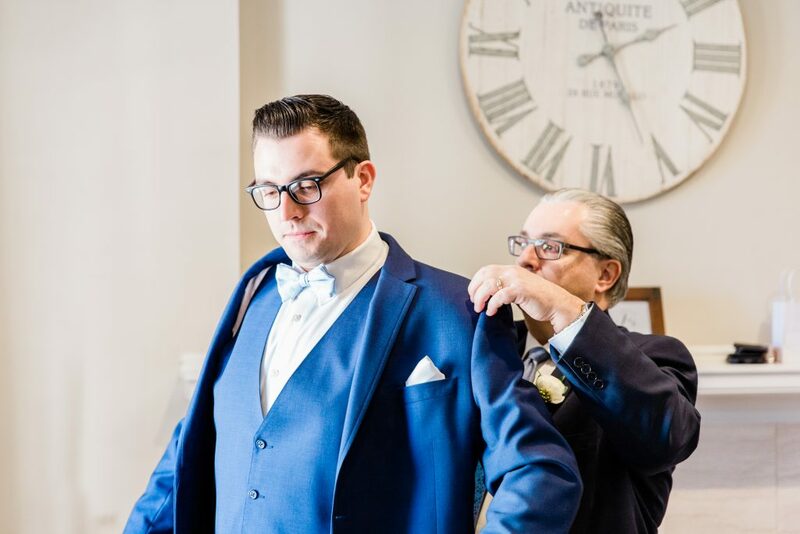 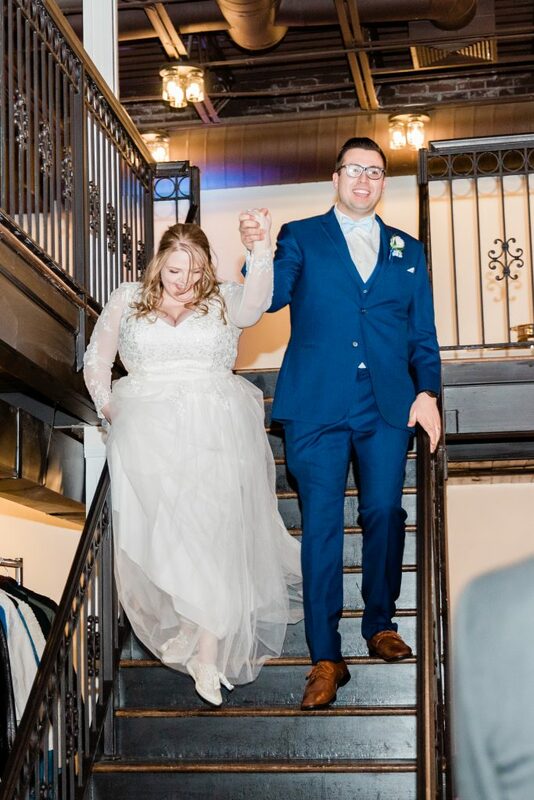 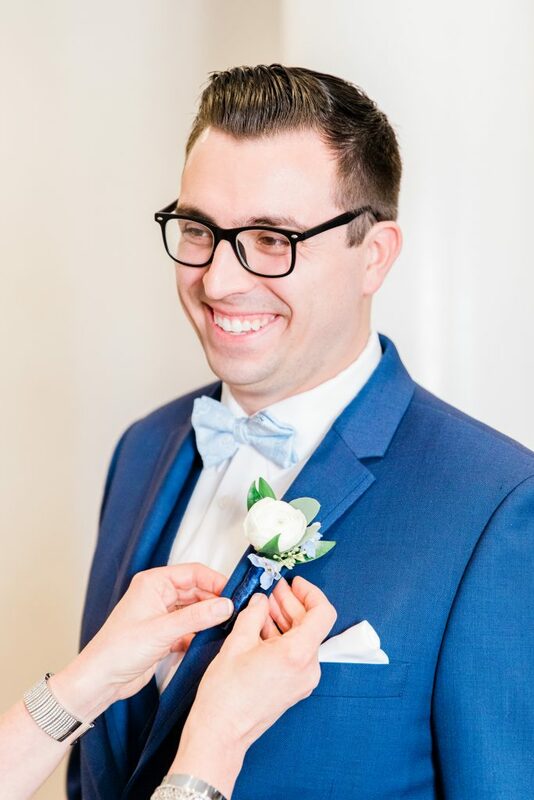 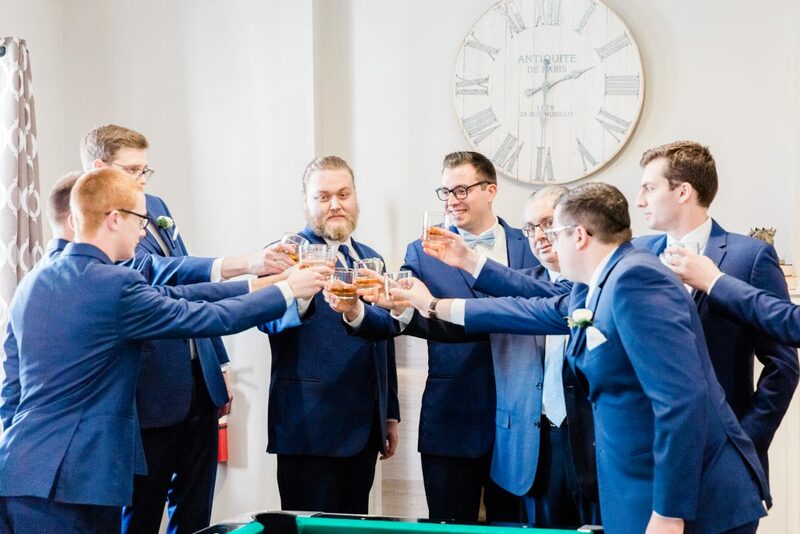 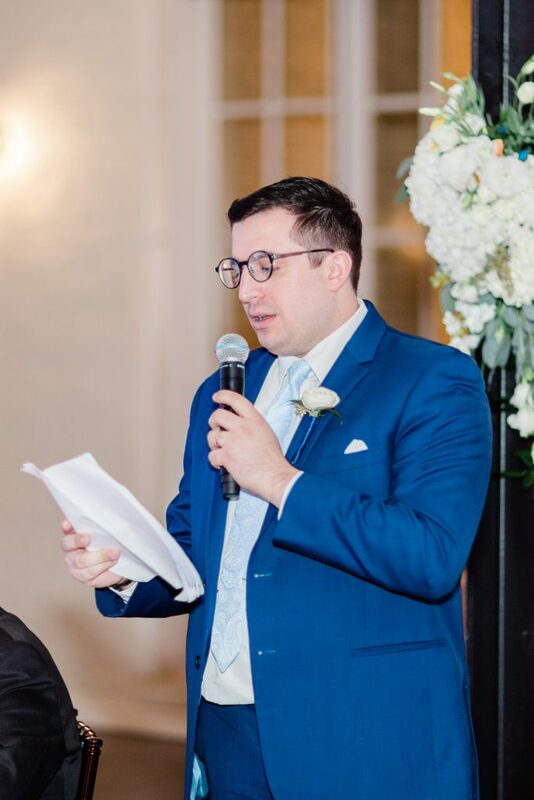 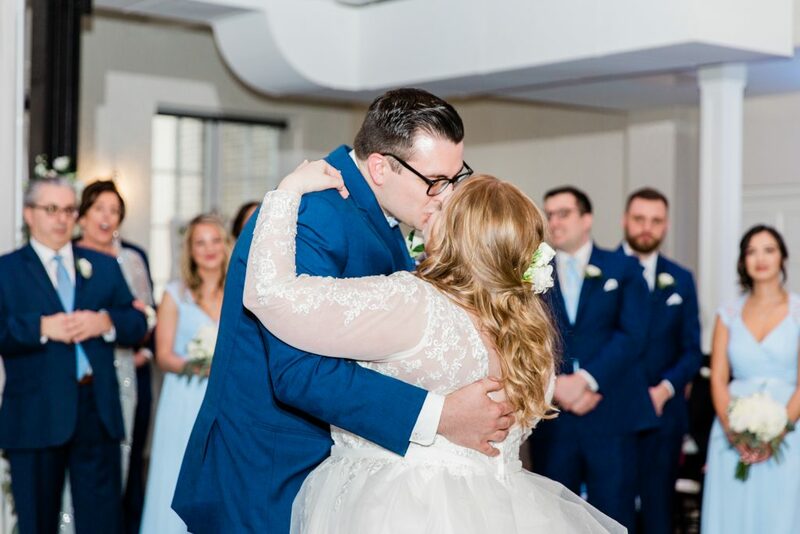 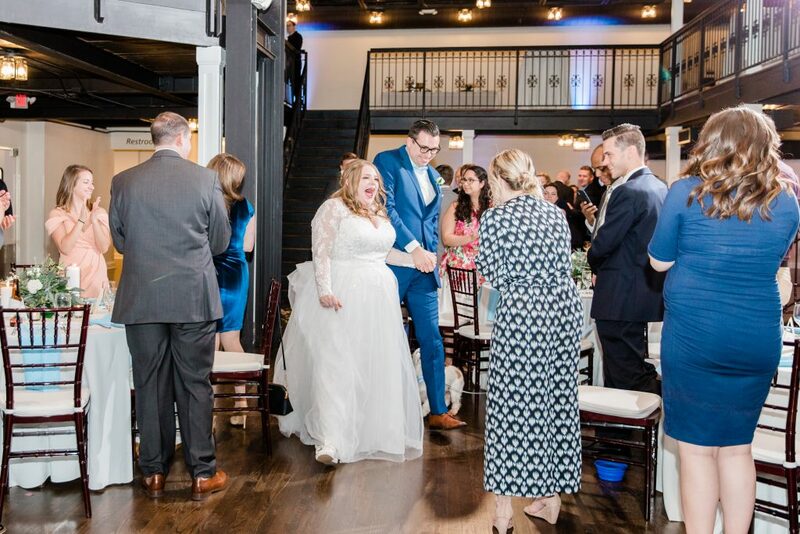 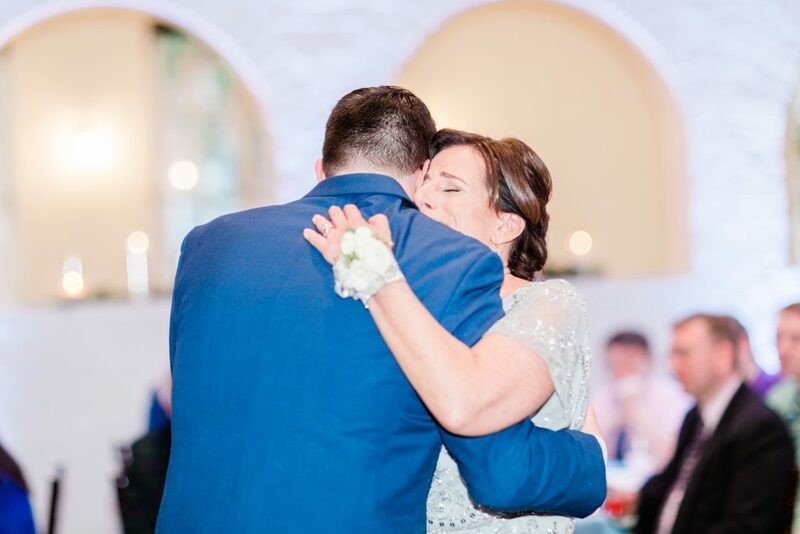 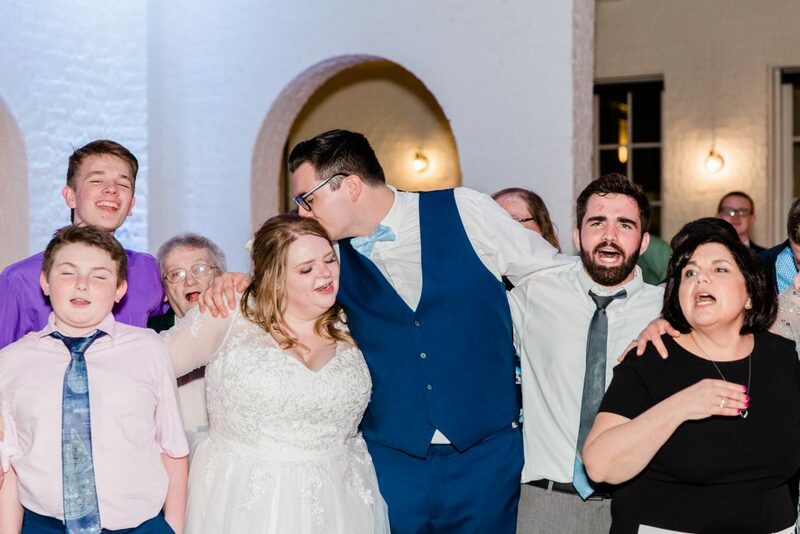 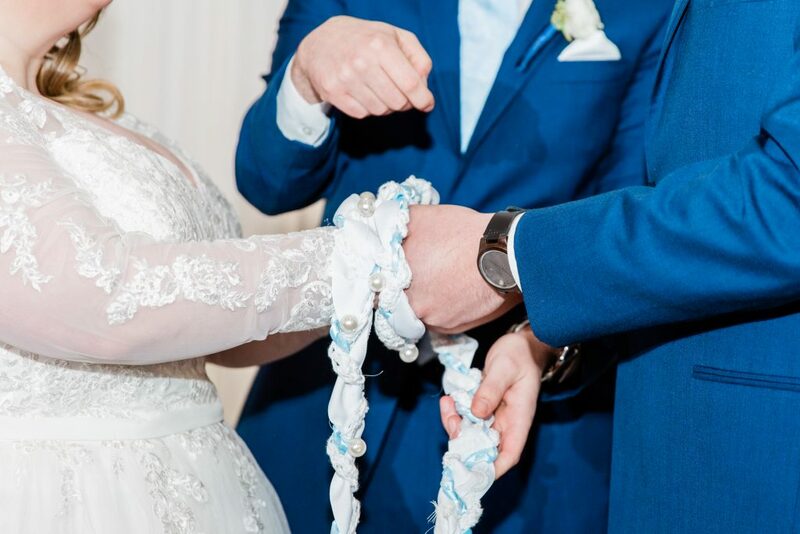 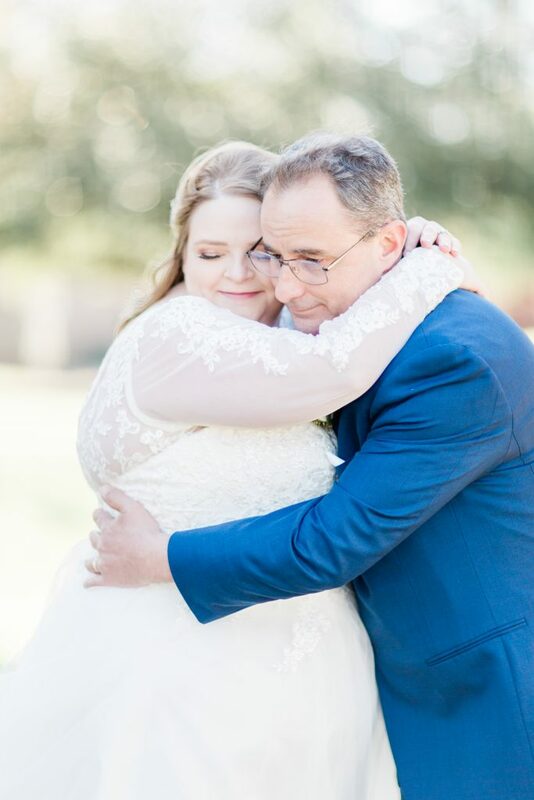 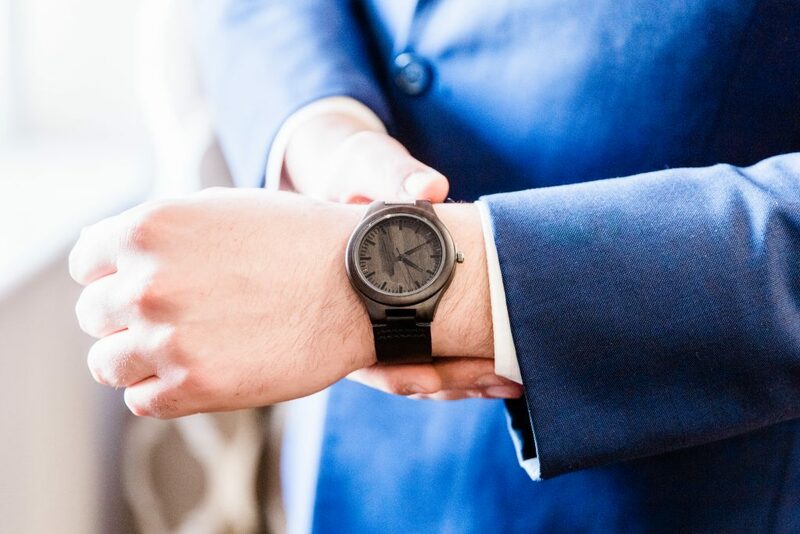 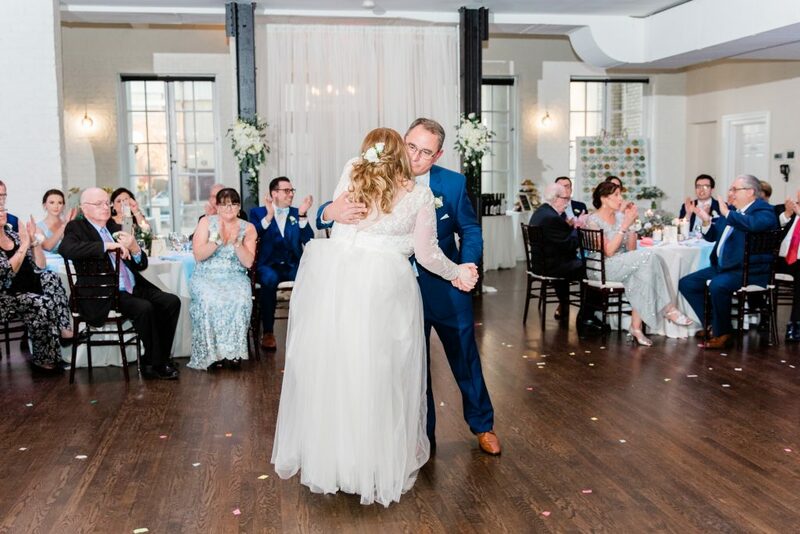 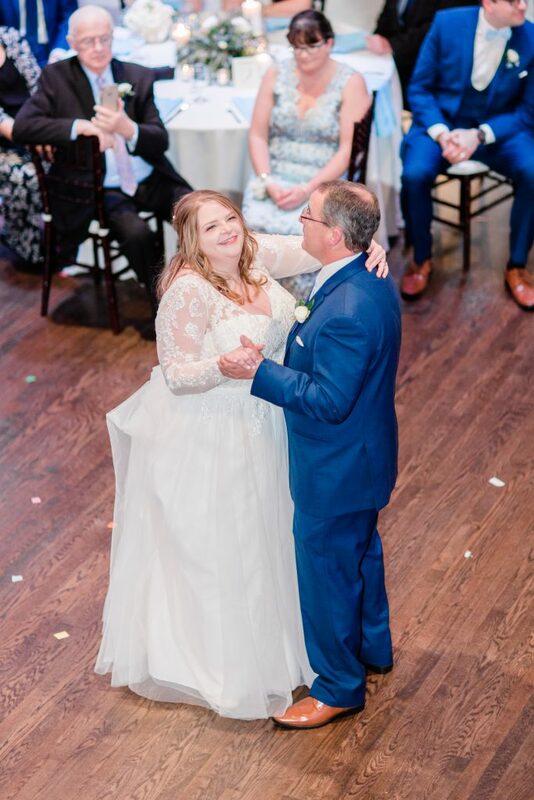 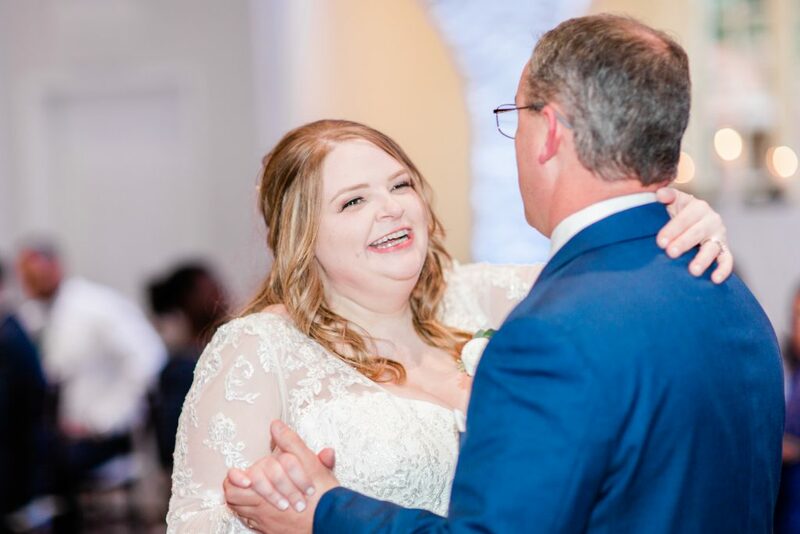 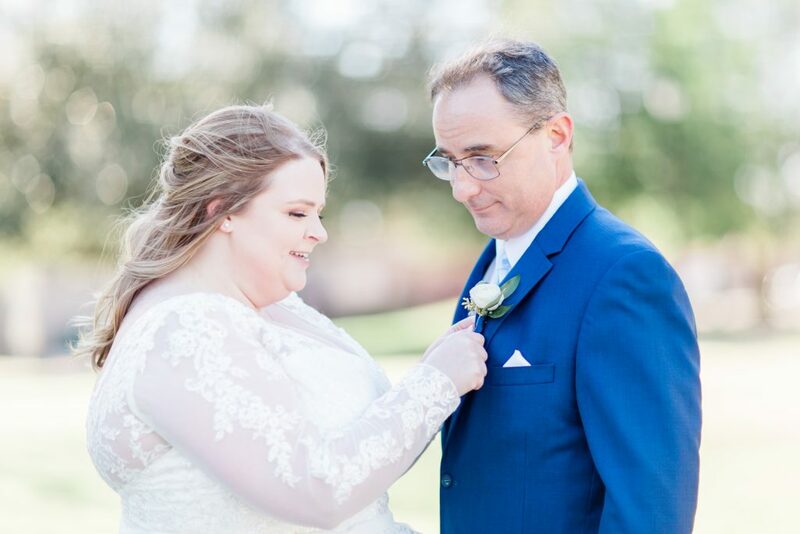 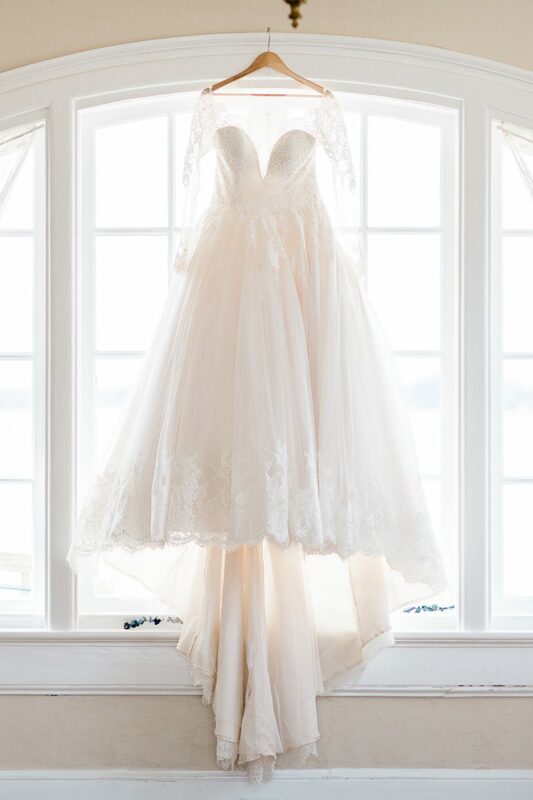 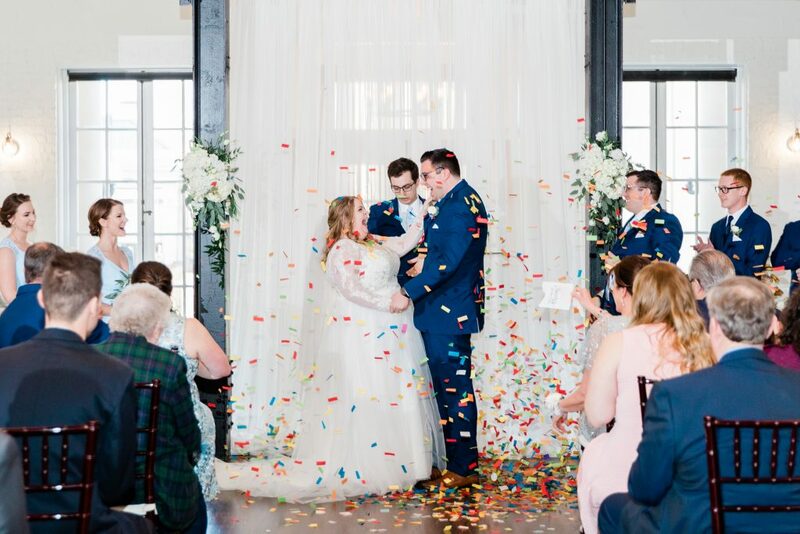 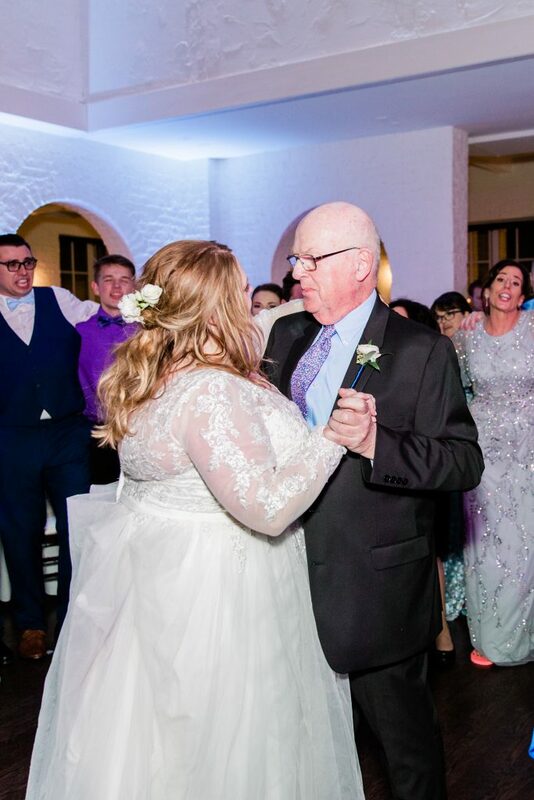 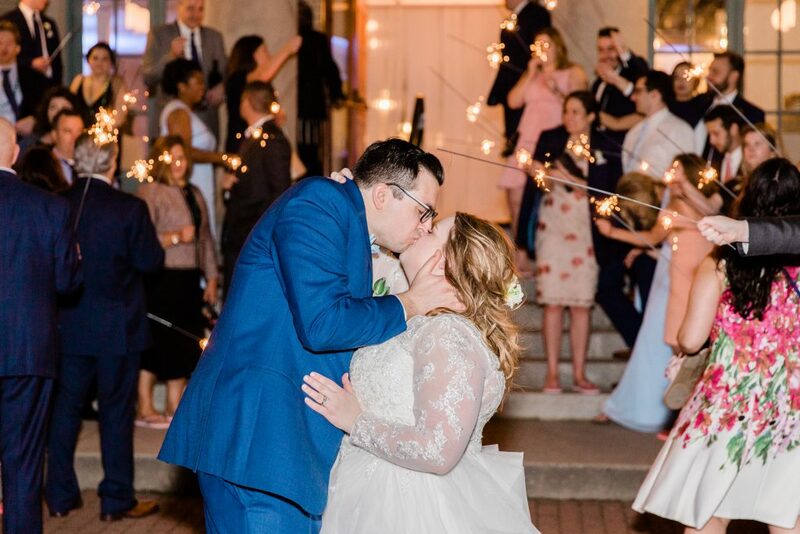 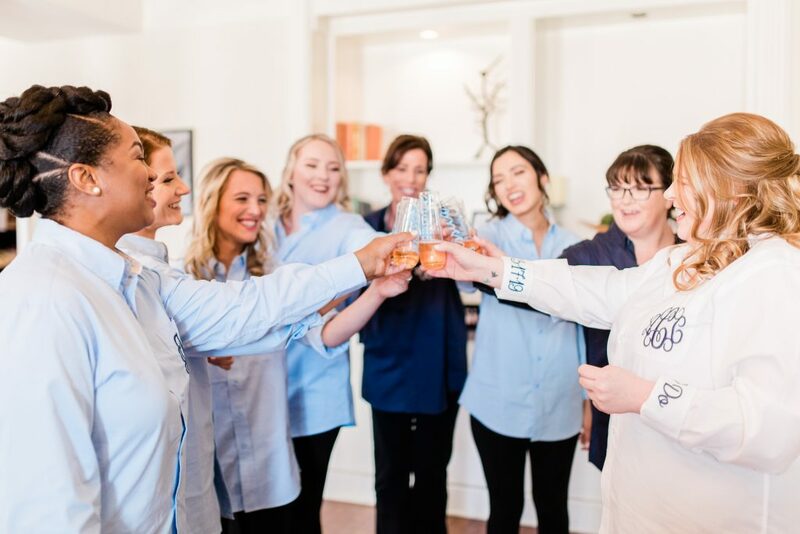 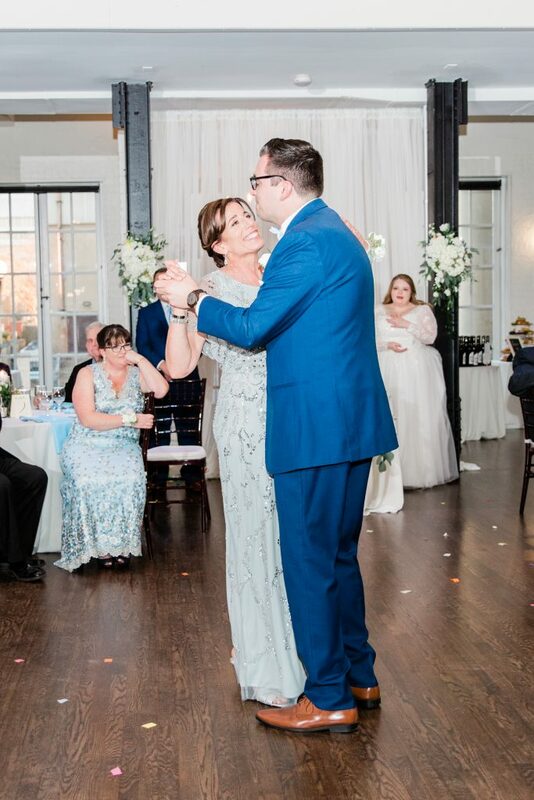 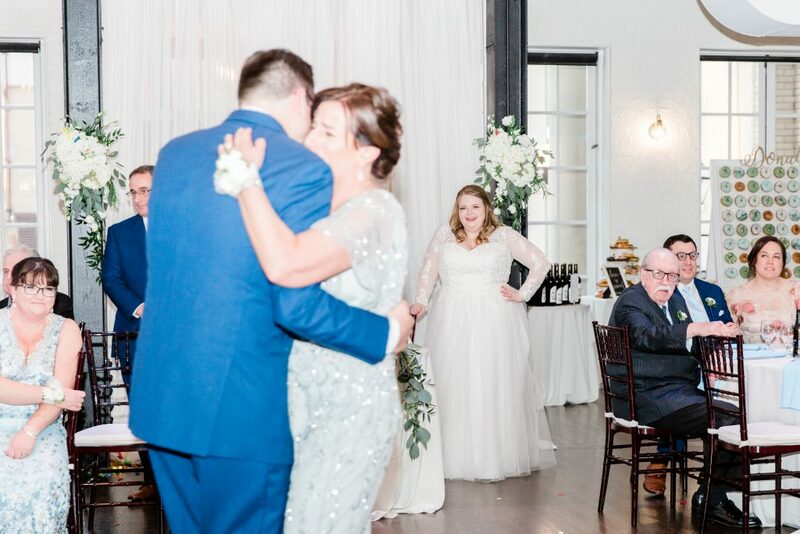 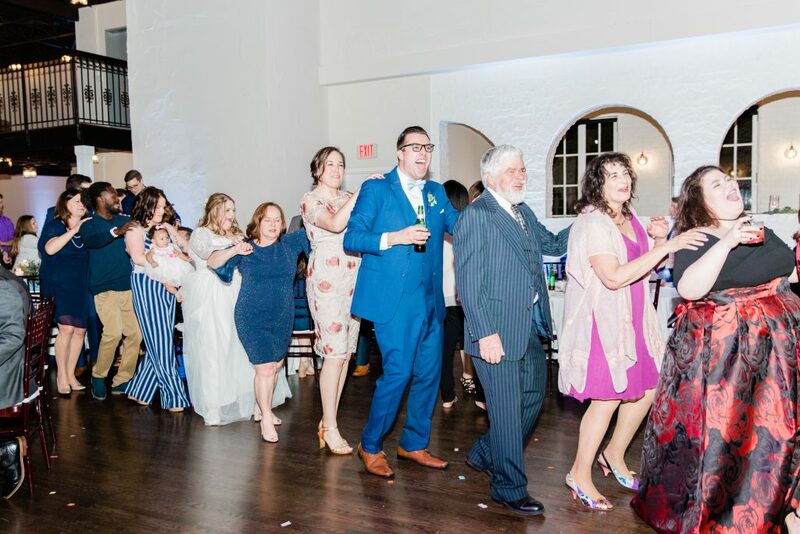 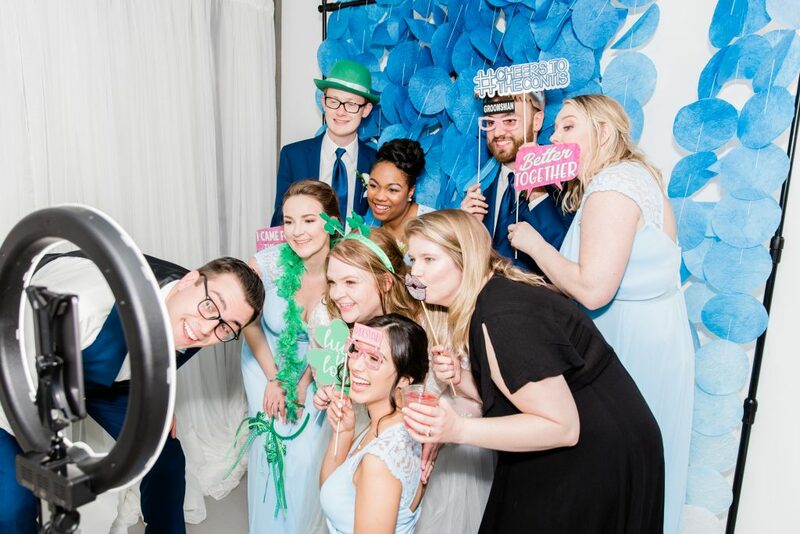 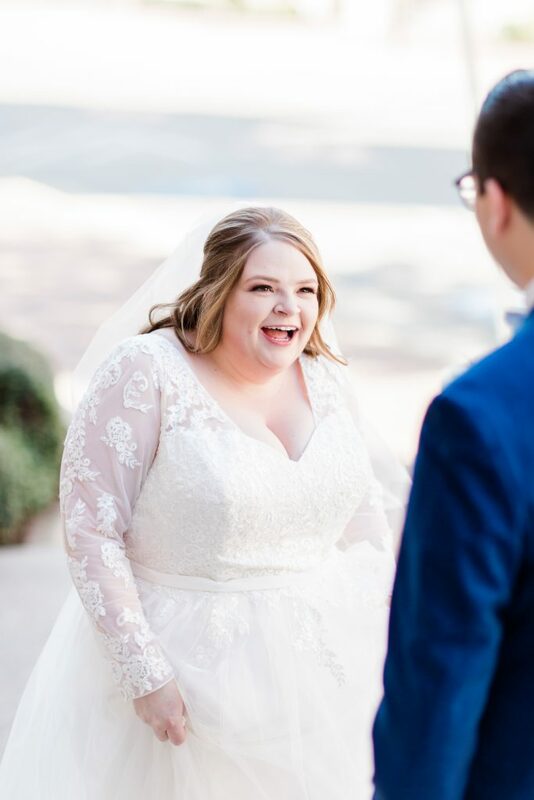 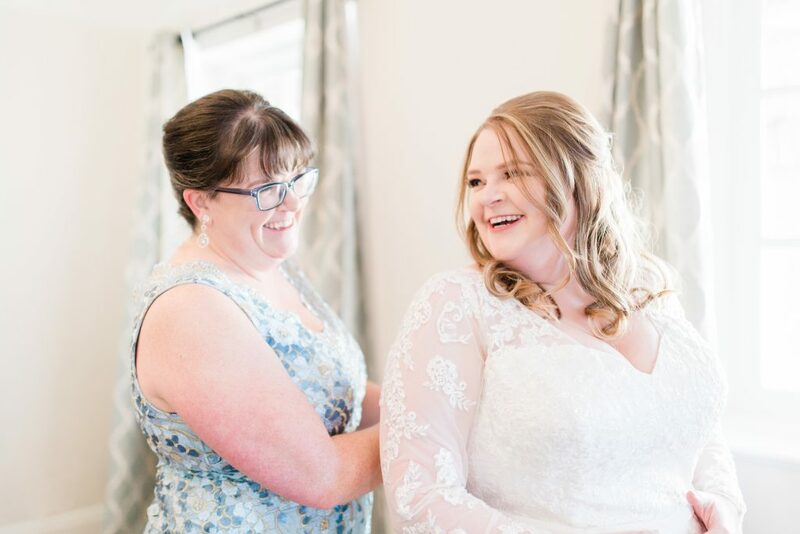 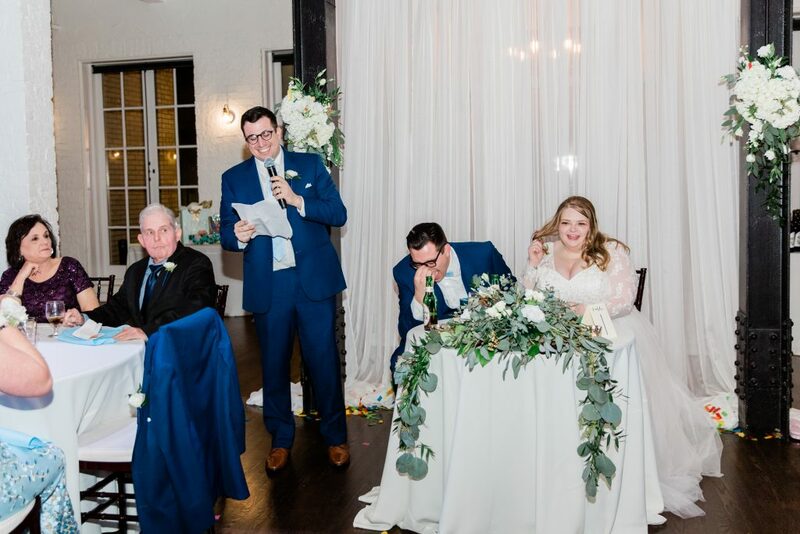 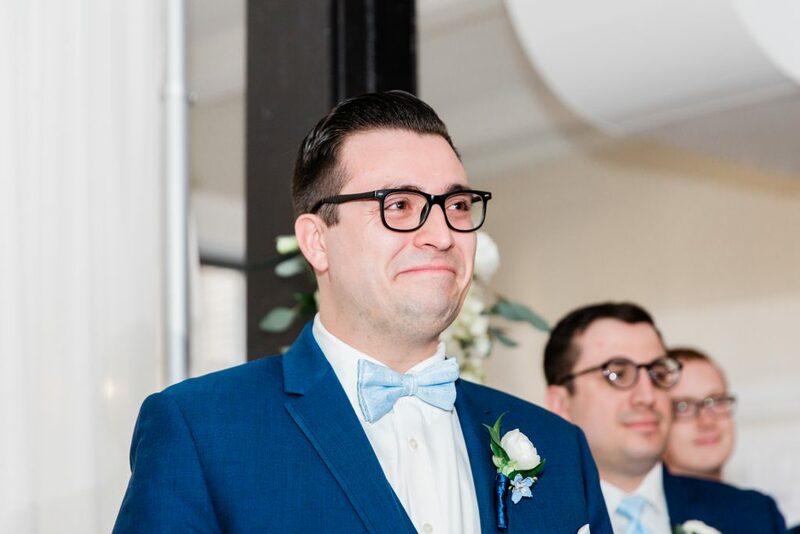 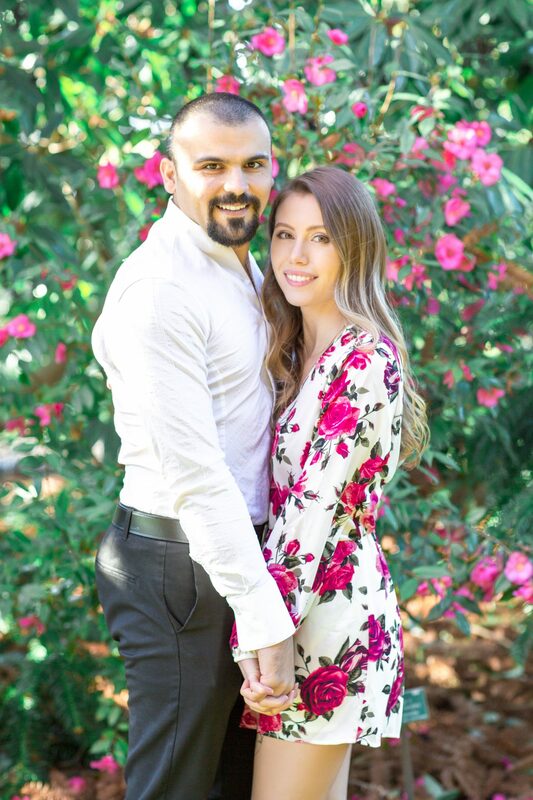 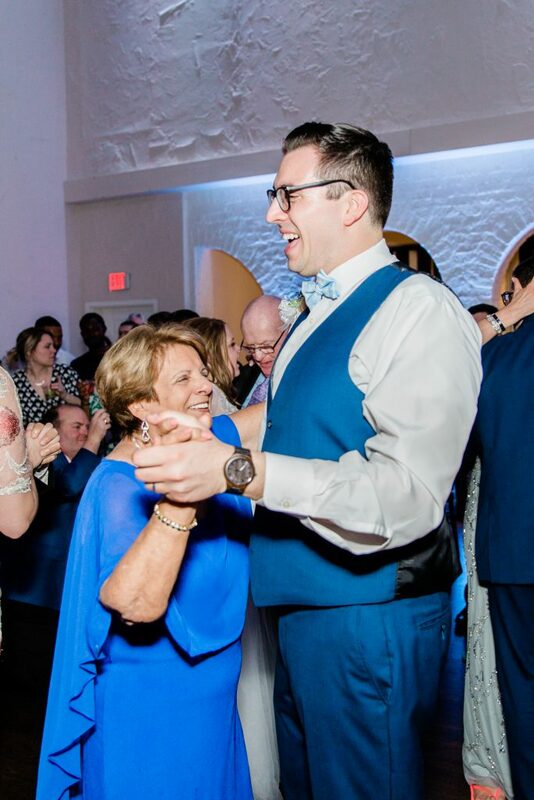 Thank you so much for choosing us to be a part of your special day and please enjoy some of our favorite images! 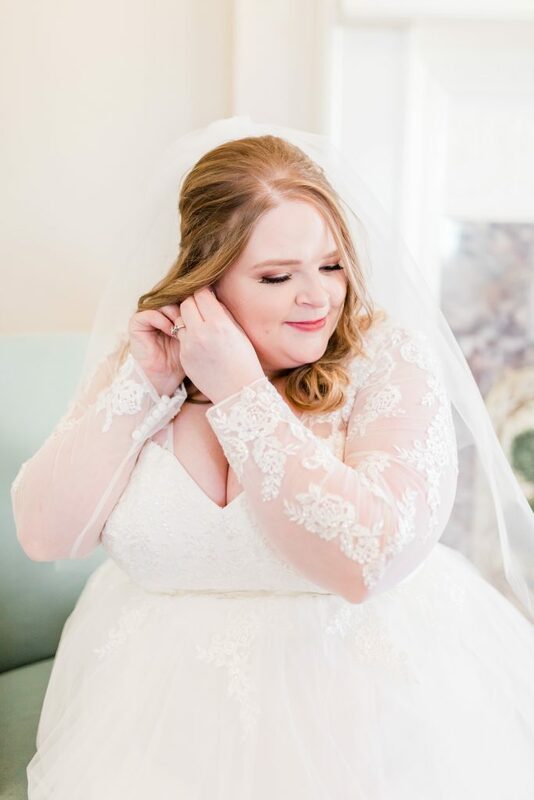 Makeup Artist | Beauty by Tiffany Inc.